Get Training: Dive into software design and receive answers to your questions during one-on-one sessions with product experts and breakout sessions led by top Vectorworks thinkers as they explore detailed workflows and best practices. Network: Build relationships with other professionals in your industry during educational sessions, our Customer Appreciation Dinner, and evening activities at the resort. Explore The Future: Discover the latest tools and get a glimpse of future technologies. Be Inspired: Learn from engaging speakers and industry thought leaders. Meet the Geeks: Meet one-on-one with Vectorworks tech support to get your questions answered. We know — with so many great sessions to attend, creating your schedule is going to be challenging! Explore your options below to optimize your Design Summit experience, and then secure your seat in your favorite sessions in advance. Now that you’re convinced that BIM is the way to go, let’s talk about how to set up your model so you get predictable results. If you’d like to find out how to deal with levels, layers, and stories, join this hands-on class with Vectorworks Architect Product Specialist Wes Gardner. In this session, Wes will outline how to set up these key elements and discuss how they interface with wall and slab styles, resulting in a complete building model. Learn what levels, layers, and stories are. Examine how to set up a project to achieve predictable results. Discover how to build and modify a wall style. Investigate how walls, slabs, and roofs interact with each other. This presentation, with product specialist Vickie Claiborne, highlights techniques for using Vectorworks in the creative process, including conceptual designs through finished plots, the practical workflow using Vectorworks tools to export patch to the GrandMA2 console and export reports to Lightwright, and the previsualization workflow, including preparing and exporting a VWX drawing for use in a visualization program such as Vision. Learn the best techniques for using Vectorworks in the creative process, including conceptual designs through finished plots. Export lighting patch information to the GrandMA2 console. Utilize instrument data exchange with Lightwright. Optimize, prepare, and export a VWX drawing for use in a visualization program such as Vision. In this course, Senior Entertainment Product Specialist Jim Woodward and User Experience Specialist Edward Joseph will walk through how to streamline your Spotlight to Vision export process, explore the tools and features included in Vision software, and discuss how to connect your files to common lighting consoles. Optimize a Vectorworks Spotlight light plot for previsualization. Clarify how to export a Vectorworks Spotlight file into Vision software. Investigate the features available in Vision software. See how to connect a Vision file to common lighting consoles. Working with and from provided file(s), attendees will create a simple set with complex details that apply to theatre, film, television, and experiential design. Emmy award-winner Kevin Lee Allen will begin with an initial design idea and go through the design and documentation process. Modeling, texturing, organization, and tool usage (including possibly unexpected uses) will be covered, as well as rendering for presentation and creating design documentation for construction. Learn to use the wall styles and architectural tools. Discover layer and class organization for the design process. Learn to use the notes database. As professionals focused on improving the landscape, we design to meet the needs of our clients and the environment. In doing so, we must select appropriate plants available for the region that are best suited for the climate. Likewise, we take pride in creating a signature graphic style that allows us to tell a story to our clients, allied professionals, and sometimes, even in publications. In this hands-on session, join Jane Beggs-Joles as she discusses what to look for when selecting plants and their providers to develop a solid plant palette, and Tony Kostreski, ASLA, as he demonstrates how to create custom plant libraries. Learn and incorporate the principles used in developing a better plant palette. Understand what your nursery grower can do for you and how to verify availability and plant performance data from preferred plant providers. Become proficient in adding plant data to generic plant style objects within Vectorworks Landmark. Master how to create custom plant symbol libraries from the new plant palette. In this session, Lighting Designer Michael Klaers and Principal Patrick Stanford will cover different uses for worksheets; the difference between spreadsheet cells and database rows, records, and fields and how they can be used in worksheets and databases; entering and editing formulas; creating and reusing worksheets; and using the create report command to generate a worksheet with a database. This hands-on class is intended for users with basic experience using Vectorworks worksheets or another spreadsheet program. Enter text and formulas and format cells. Edit a worksheet from another user. This session with Vectorworks User Experience Manager Jim Wilson has a focus on rendering techniques that pertain to theater and concert venues. Jim will discuss the ins and outs of lit fog, dramatic light effects, proper handling of darkness, edge lighting, and much more. Attendees will not only receive technical knowledge on how to accomplish interior, low-light renderings and how to create commonly used stage elements, but will also receive a demonstration file with included resources that they can use or modify as they wish for future projects. Note: This lecture assumes a basic knowledge of rendering styles, use of light objects, and applying textures. When it’s time to transform an idea into a digital 3D form, it all comes down to understanding the tools that you use. There are multiple ways to achieve the same shape, so determining best practices with 3D modeling tools can vary based on your design intent, skill level, and the complexity of your project. 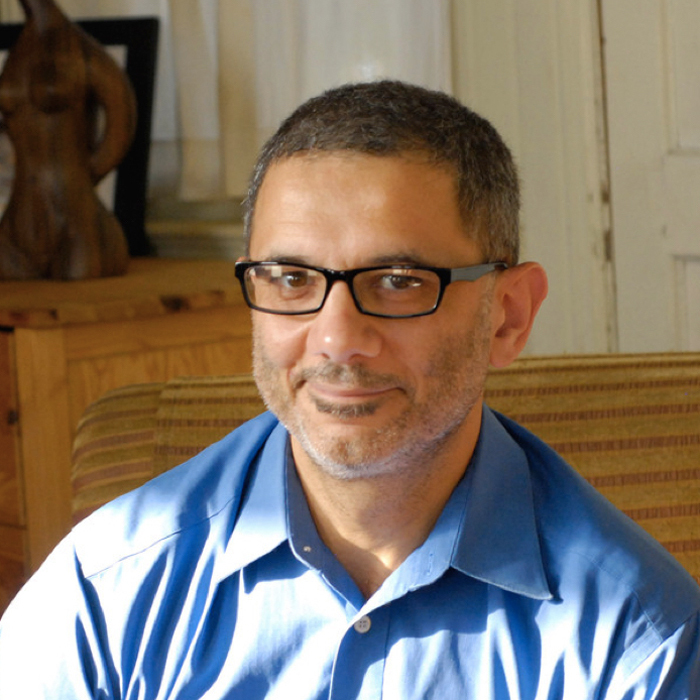 Join Luis M. Ruiz, International Assoc. AIA, as he explores the various tool sets and features that enable custom modeling for a variety of project types. This beginner class will focus on general navigation, solid modeling, and basic editing behaviors in Vectorworks. Identify the different tool and feature sets available for effective 3D modeling. Discover effective workflows for executing concepts in 3D, both individually and in terms of a larger project. Observe the basic solids modeling operations and capabilities. Demonstrate learned techniques in a hands-on training session. In complex design processes with a growing number of rules and regulations, the architects at GASA, one of Norway's leading firms for sustainable architecture, believe it’s important to stay focused on the core of their profession: designing inspiring and well-functioning environments for everyday life. So, they ask themselves: how can we reach the level of complexity it takes to design and develop a large, public school as a BIM project in the most simple and efficient way, but still meet all the strict requirements? How can we make do with fewer lines, layers, and classes? How can we get less overall clutter to achieve efficient files with simpler IFC objects? And what tools do you really need to get the job done? Find out how the team at GASA creates simple and robust concepts with as few elements as possible. Demonstrate how to refine a workspace so you can focus on the design process. Shed light on which tools are necessary and which you can hide. Learn how to simplify templates to avoid gigantic, overloaded files. Examine one or two large ongoing school projects, and learn how the project team streamlines the workflow in different phases to save time. In this session, production designer and lighting director Dan Reed will discuss his 20-year history of CAD support for his own shows as well as his tenure with multi-Emmy award winning lighting designers Bob Dickinson and Bob Barnhart of Full Flood Inc. and Joshua Hutchings of Illumination Advocates. Dan will review his CAD portfolio of award shows and live production events and discuss the important role Vectorworks plays in unifying the torrent of files and formats that come flying in during a live production. Examine the separate roles that different Spotlight and Renderworks tools and previsualization programs like Vision play in real-world production environments. Learn how green screen techniques can be prepared from within Vectorworks to produce great pixel mapping and video presentations. Learn how to modify the existing Spotlight libraries and use non-Spotlight lighting tools, such as the new 4K export tool, to improve renderings and create great data integrated animation. Understand how Vectorworks can fit in an all AutoCAD environment, using the attraction design for IMG Worlds of Adventure in Dubai as a case study example. With the introduction of new irrigation tools in 2017, Vectorworks created an entirely new workflow to better serve landscape professionals who design irrigation systems. Bryan Goff of Grey Leaf Design was one of the early adopters of these new tools and will help guide attendees through the tools and associated efficiencies. Bryan will elaborate on general irrigation efficiencies and present a general workflow that designers can build from with an emphasis on EPA WaterSense. Eric Berg, senior associate at Pacific Coast Land Design, will illustrate how landscape architecture firms and irrigation designers can use the irrigation tools and BIM capabilities of Vectorworks to help meet growing regulatory demands, with an emphasis on California’s MWELO requirements in designing water efficient irrigation systems. In aggregate, this presentation will navigate through the irrigation design tools and workflows Vectorworks offers that empower designers to design more efficient irrigation systems. This will include a general file takeaway, giving attendees a head start in their irrigation design workflows. Discover a brief overview of Vectorworks’ suite of tools available for irrigation design. Learn the best practices and workflows for the Vectorworks irrigation tool suite and how to create a basic irrigation design drawing. Learn how to generate reports and schedules from irrigation tools and components. Understand how to create custom workflows to meet and document specific regulatory requirements such as EPA WaterSense, CA MWELO, and/or sustainable design targets, such as LEED/SITES. When learning to use Vectorworks, or any software for that matter, we are likely to focus on learning how to use just what we need to complete a project. Over time, we may believe we know how to use the application to its fullest extent but have only scratched the surface of what is possible. In this session, the Vectorworks training team will guide you through finding those gems (tools/commands) that will make your design process more efficient. They will also change your perspective on how and when to use certain Vectorworks features that you may already use on regular basis. Adopting BIM workflows means gaining efficiency through automation of change management. Parametric objects make the management of resources and their data much easier and accessible. In this course, Jonathan Reeves, director of Jonathan Reeves Architecture, will cover the main parametric building objects in Vectorworks Architect and how styles of these objects can be used for better change management. Discover basic building objects and their parametric properties. Understand how to manage wall systems, floor systems, and roof systems with styles. Discover “PIO” object styles and how they differ from other BIM objects. Learn how to access manufacturer catalogs for greater detail in your BIM models. When it’s time to transform an idea into a digital 3D form, it all comes down to understanding the tools that you use. This advanced class will help you determine best practices for 3D modeling and will introduce you to more complex modeling capabilities in Vectorworks. Join Luis M. Ruiz, Int. Assoc. AIA, as he explores the advanced tool sets and features that enable custom modeling for a variety of project types. Part 2 of this class will focus on the deform tool, NURBS curves and surfaces, and subdivision modeling. Identify the effective use of NURBS surfaces and subdivision modeling. Observe 3D modeling best practices in action by examining real-world examples. Still verbally describing how light will respond in a theatrical environment? Still figuring out photometries the oldfashion way? How about using Spotlight as a "one stop shopping" resource? This presentation by lighting and scenicdesigner Stephen Jones will showcase how Spotlight can be used to create 3D lighting plots that can be used for both thecreative and technical sides of the entertainment industry. Learn how to produce 3D drafting of lighting plots. Learn how to use photometrics to plan theatrical lighting. Learn the power of Spotlight as a pre-visualization tool. Learn short cuts to save time. 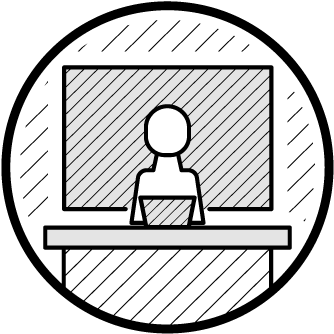 In this two-hour, hands-on training with Vectorworks Architect Product Specialist Sarah Barrett, attendees will begin to familiarize themselves with some intermediate and advanced uses of Marionette. Attendees will use sample files to integrate into their own designs or to pull apart and learn from. These sample files will include networks that automate tedious tasks and create parametric geometry. The second hour of training will be an open workshop to work on building a sample network or your own project with the help of a Marionette expert. The creation and implementation of the new General Device Type Format (GDTF) is a game-changer for designers, programmers, and electricians who use Vectorworks in their workflows. By adding GDTF data to the plot, information (such as type, mode, optional features, etc.) about all types of devices (lighting, video, pyro, special effects, lasers, etc.) can be easily shared between the plot, previsualization programs, and consoles. Understand how to read a GDTF file. Add GDTF information to light plots. Streamline converting a plot to previz. Streamline patching a console from a plot. Creating and modeling a site's terrain with the Vectorworks site model continues to be an important part of a designer's workflow in 2D/3D site planning. Though various data formats may help inform the existing surface, added features to the site model enable designers to have more control over how that surface is represented. This session will demonstrate various traditional and non-traditional site modification processes, enabling attendees to achieve better land sculpting for drainage, berming, and retaining features. Review the opportunities to create a site model from various source data formats. Recognize advances in the Vectorworks site model and site modifiers. Utilize site model modifying techniques such as swales, contoured berms, and retaining edges. Explore non-traditional modification methods, such as 3D bending polygons and contour editing. The space object can do a lot more than just create a room label. In this hands-on training, Vectorworks Architect Product Specialist Luc Lefebvre will demonstrate all the cool things you can do with this object. Review the benefits of using the space object. Understand the type of data that can be assigned in a space object and for what use. Learn how to create programming diagrams and space planning tools. Eager to get an in-depth look at all the new and upgraded features in Vectorworks 2019? 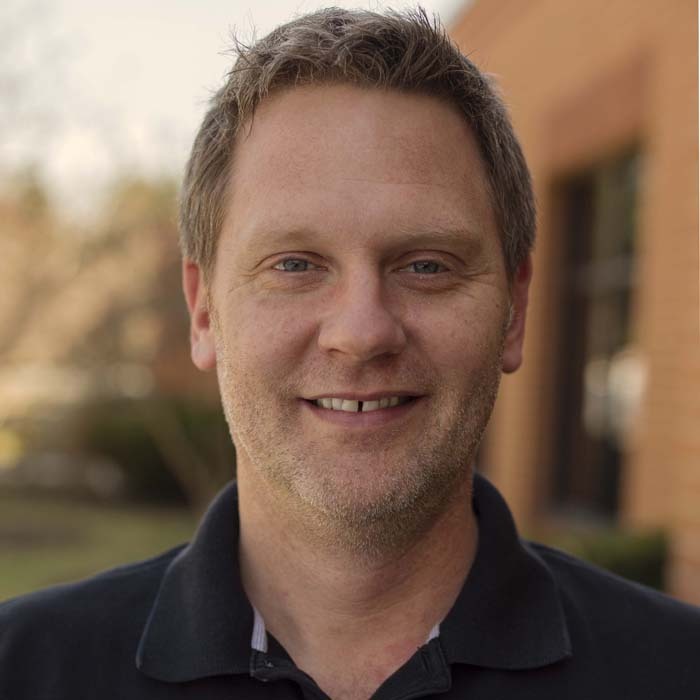 Vectorworks Trainer Michael Groves will share information about what you can do with the latest release of the software during the Design Summit. Don’t miss out on this opportunity to discover what’s new in Vectorworks 2019. This course with Vectorworks User Experience Manager Jim Wilson will include a tutorial of photorealistic style details with materials such as water, grass, earth, and glass, as well as artistic rendering techniques for white card, line, and sketch rendering styles. Attendees will leave this lecture not only with tips and tricks on creating realistic materials and artistically styled renderings, but also with a number of sample resources that can be modified or used in their own projects. Spoleto Festival USA, based in Charleston, South Carolina, hosts domestic and international theatrical productions every year. In 17 days, over 250 performances take place throughout the city, but every production has to share its stage with someone else. It is repertory lighting and scenery at its craziest, with rapid-fire changeovers between shows choreographed down to the moment. In this session, Steve Shelley, president of Field Template LLC, will show the processes he used—and would use again today—in Vectorworks software to create the documentation needed to pull off such a combination of complex events. Examine how to create light plots and sections using class and layer hierarchy. Utilize saved views to construct and compare scenic and lighting changes. Recognize how to use viewports to create draft-displaying scenic and lighting changes. Discover how to provide PDF documentation in both imperial and metric scales. How do you know when you have made a bad production? James Simpson, lighting visualizer at the Royal Opera House, discusses the benefits of design visualization for producing opera and ballet by improving the efficiency, speed, and quality of the finished production. James will show how the Royal Opera House is using the latest technology, such as virtual and augmented reality, to make visualization more immersive and practical to a design team. He will also explain how new technology could have a significant impact on the way we design for entertainment in the future. 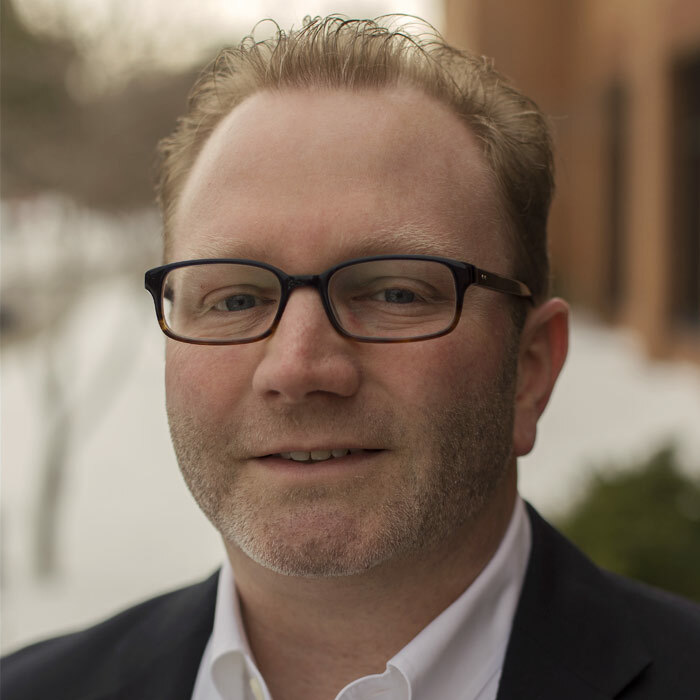 This session, with Huitt-Zollars vice president and director Todd McCurdy, includes hands-on training with a successful workflow, including a takeaway toolkit to help attendees recreate and modify the workflow for projects. The workflows presented will be data driven but visually engaging, with GIS and/or CAD input, and built-in worksheets. Use data in 2D base files to quickly create 3D mass studies. Calculate areas, uses, and other data in your model and present them in a worksheet. Use classes, layers, and basic tools to create 3D mass studies of the urban environment. Locate elements within the design world and coordinate space to facilitate location in construction. In this session, Vectorworks Senior Architect Product Specialist Juan Carlos Fabbiani, AIA, will cover new Vectorworks technologies, including the ins-and-outs of photos to 3D modeling, virtual reality (VR), augmented reality (AR), web view, and 360 panoramas. Attendees will learn how these new technologies will help in their day-to-day design practices. Discover new technologies in Vectorworks. Learn how new technologies can help your practice/business and why this is important. Learn when and how to use these new technologies. Discover the practical application of these new features. Join us for a night of networking, food, and music on-site at the Sheraton Grand at the Wild Horse Pass resort. Close your laptops, put on your dancing shoes, and celebrate the local Gila River Indian Community at the Customer Appreciation Party, a night you surely won’t forget! Creating detail drawings of your building is a necessity for construction documentation. In this two-hour, hands-on class, François Lévy, AIA, author and partner of Lévy Kohlhass Architecture, will cover how to create and manage a detail library and how to utilize Vectorworks’ Resource Manager. Attendees will also learn how to generate detail viewports, how to link detail callouts to existing detail drawings, and how to control the level of detail in your objects. Understand how to create and manage a detail library. Explain how to use Vectorworks’ Resource Manager for library management. Examine tools to generate standard detail drawings and how to customize them. Explore how to control the level of detail of Vectorworks hybrid objects. Vectorworks Spotlight and Braceworks are integral to the design and engineering process to create corporate theater events at IMS Technology Services. 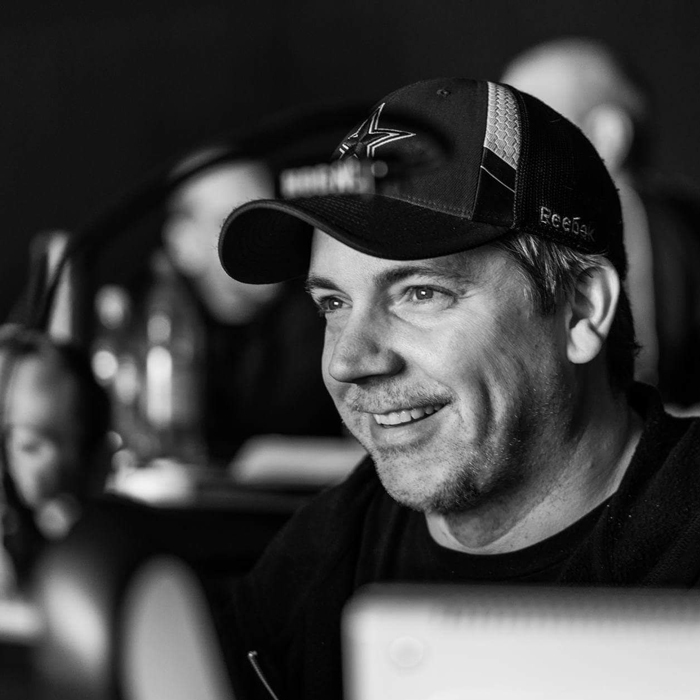 Join Scott C. Parker, IMS director of lighting (USA829), ETCP certified rigger & electrician, and Vectorworks recognized trainer, to explore methods he and his team use to collaborate in creating the technical drawings required for corporate event production. These same skills are shared equally by theatrical designers and technical personnel. Scott will explore the process of a challenging event that included three extra-wide curved blended screens in a ballroom with multiple soffits of varying heights and a particularly odd layout of overhead rigging points. The solution required editing existing truss symbols and the creation of new custom Braceworks symbols. Discover project sharing and/or reference viewports to external documents. Understand Braceworks corner settings: creating custom hinge truss symbols at various angles. Discover how to convert a truss system to a Braceworks-friendly hanging position for lighting, and then how to edit the position. Calculate loads of lighting, video, audio, and curtain objects using Braceworks, and learn how to double check your findings. This presentation will show you how to leverage the power of solar, terrain, building, and landscape object modeling to better analyze site conditions, advise clients, and validate design choices. This training session with principal and landscape designer Danilo Maffei will focus on using site modelling, the heliodon tool, and saved view tools to create useful and compelling reports and exhibits, whether they be for internal use or making presentations to clients. Use the site model tool to create slope and elevation analysis. Use the heliodon tool to create sun/shade studies. Use the saved views tool to create viewshed studies. Use 2D polygons, record formats, and worksheets to analyze and report spatial data. In this session, Lighting Designer Michael Klaers and Principal Patrick Stanford will cover converting text data to numbers for use in calculations, record and field use in spreadsheets and databases, editing objects on a drawing with worksheets, using multiple record formats in a single database, using scripts to improve database formatting, and an introduction to worksheet scripts. Vectorworks files from different industries will be used as examples. This hands-on class is intended for designers who currently use worksheets but who want to know more about how to improve their skills. Develop a better understanding of the power of worksheets. Manipulate both spreadsheet cells and database cells to extract and edit data in a drawing. Extend the power of worksheets. Utilizing a file structure that can be implemented at initial concept and adapt as the architectural process evolves can help streamline the design workflow. Flansburgh Architects, in conjunction with the Vectorworks Architectural Support team, has gone through the steps to create a framework tailored to a variety of project types and phases of design and documentation. Attendees will obtain an understanding of the key elements that were involved in creating the file structure of templates and resources and gain insight into how this process can be adapted to meet their individual needs. Discover how to structure an office-standard Resource Manager that allows users to easily access typical project resources. Explore how customized Workspaces can simplify tool sets and menus, allowing for adaption by individual users to suit their needs. Observe how to streamline the file transfer protocol with both the design team and consulting engineers who may use other software packages. LOD is an acronym for describing the level of development of a digital model, whether it’s a Building Information Model or a more general-use 3D model. In this session, Vectorworks UK Director of Digital Practice Strategy Martyn Horne will explain the concept of LOD and its practical application in Vectorworks. The session will include the definitions as set out in the BIM standards provided by the US, UK, and around the world. Review the descriptions of the various LODs. Learn what data and model elements are required for each LOD and how they relate to the detail/information included in a Vectorworks model. Review various BIM planning tools to establish the LOD goals of a project. Vectorworks Spotlight software is a complete entertainment production package, but not everyone is using it to the fullest. Before becoming overwhelmed by all the technical specifications of a production, the client needs to be sold on a concept. In this class, Jim Woodward, senior entertainment product specialist at Vectorworks, Inc., will cover the efficiency and capabilities of Vectorworks to communicate different ideas into a successful proposal. Organize workspaces for efficient conceptual design. Develop class and layer strategies for comparing different concepts. Create templates for presentation and proposals using viewports and sheet layers. Use project sharing for team collaboration and revisions. In this one-hour lecture with Vectorworks Architect Product Specialist Sarah Barrett, attendees will learn how to take advantage of Vectorworks’ many 2D graphic and presentation capabilities. With all of these different tools, there is no need to use another presentation software to create eye-catching presentations. Some features that will be discussed include data visualization, class overrides, gradients and opacities, alpha channel transparency, and more. Sarah will also discuss how to create key plans, exploded axons, color masks, layered viewports, and diagrams directly in your model. 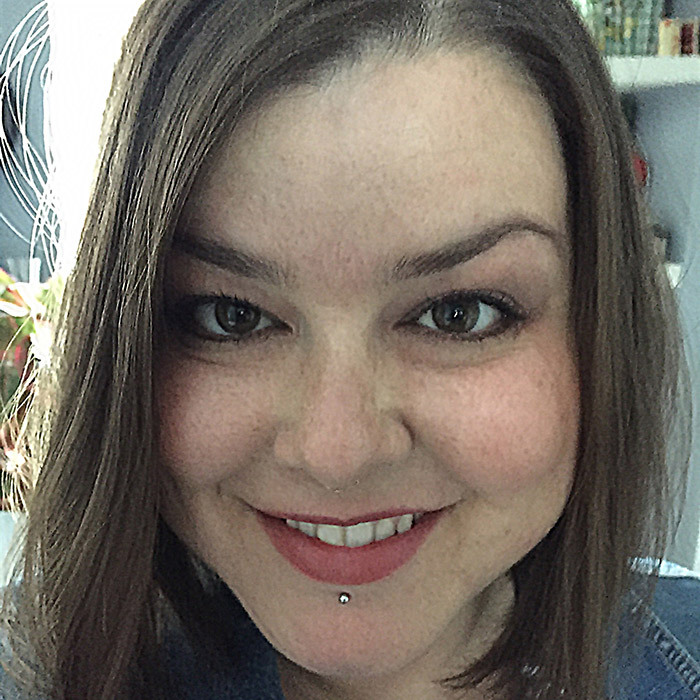 In this session, senior associate designer Amanda Stephens will discuss the 3D design evolution, with examples from the tour phase of “Dear Evan Hansen.” The discussion will include how her workflow in 3D has evolved as she has continued to work in 3D and learn to use project management across design disciplines to create comprehensive drawings, including accurate rigging plans. Discover basic 3D modeling using extrusions from a 2D plan. Learn to create viewport/sheet layouts from a 3D model. Use class overrides to manipulate graphic attributes in viewports. Learn to set up a file to use project sharing. Since 2009, Pacific Coast Land Design (PCLD) in Ventura, California has been using Vectorworks as its primary design software when designing large-scale public works, urban design, and residential development projects. Senior associate Eric Berg and principal Mike Zielsdorf will illustrate how their six-person firm successfully uses the tools within Vectorworks to produce everything from early conceptual graphics to construction documents, design details, and construction administration exhibits, enhancing the final delivery of their projects. As a firm on the leading edge of the BIM transition in landscape architecture, the PCLD team will provide attendees with a first-hand look into the tools, workflows, and best practices they use day to day to help move projects from genesis to completion. Discover the “linear” workflow: how to most efficiently take a project from concept through construction documents in Vectorworks. Learn how to utilize the import/export functionality within Vectorworks to aid in design consultant collaboration and the use of third party software while maintaining a “linear” workflow. Understand how to construct smart document packages within Vectorworks for schematic design, design development, and construction documentation. Understand how to build a workgroup library to better manage collective resources. Now more than ever, developing a successful design project involves the contribution, combination, and culmination of multiple people working on various aspects, often in different locations. In this session, Jonathan Reeves, who has spent the last 20 years at the forefront of digital architecture and related fields, explores how projects can benefit from enhanced collaborative BIM workflows with clients, consultants, and during construction. By building on his acclaimed book, Innovative Vectorworks BIM, with examples of projects and case studies by award-winning UK architects, Jonathan will illustrate how the modern designer can harness the fast-paced digital age using Vectorworks. Understand the benefits of Building Information Modelling (BIM) within the architectural industry during the design, conception, communication, and construction phases. Learn how collaborative Vectorworks BIM can be effectively applied to benefit a range of project types through real-world examples and case studies by award-winning UK architects. Recognize opportunities and understand how to get started implementing BIM workflows within a business. Move beyond 2D CAD and get excited about the possibilities of current and future collaborative Vectorworks BIM workflows. This course will highlight the use of the array of tools, commands, and plug-in objects in Vectorworks Spotlight and Designer to aid in the production of drawings and documentation for corporate and themed events. We will begin by setting up a drawing for team collaboration, develop it, and create a final presentation. The session will have a strong emphasis on speed and efficiency. Learn the array of event planning capabilities in Vectorworks Spotlight. Structure layers for project sharing. Develop a complete event project file. Learn to create a multi-page presentation from a project file. In this session, Vectorworks Senior Architect Product Specialist Juan Carlos Fabbiani, AIA, will walk through best practices for graphical annotations after a model has been created. He will also cover how to get the correct viewport for graphical representations, how to override attributes in viewports, and how to keep records of annotations. Discover the importance of correct graphic representations of drawings at different project phases. Learn about annotation drawings with dimensions, callouts, keynotes, etc. Apply graphic attributes to viewports and utilize class overrides. Learn tips and tricks for getting your drawings to be accurate and legible and adhere to your drawing standards. This presentation will illustrate a design workflow for landscape designers, design build, and design manage firms. The workflow will be data driven, to help firms realize the potential of Site Information Modeling (SIM) in their daily workflows and to gather material takeoffs, notes, and pricing on an item basis through full site data and pricing. This will include a takeaway toolkit of everything discussed to provide attendees with a jumpstart in their workflows. Generate data using parametric tools and record formats. Understand how to leverage layers and classes for data filtering and graphic visuals. Create and use worksheets to capture, filter, and quantify data. Place and manipulate graphic attributes of worksheets and placement of data on sheets for design output. So, you’ve created a 3D model, but now you need to create drawings for permits. Producing the documentation you need and visualizing your project data to accomplish this can be simple with the right tools and processes. In this session, Rubina Siddiqui, Assoc. AIA, will demonstrate how to generate standard drawings and schedules from a 3D model, as well as how to create custom schedules and takeoffs. Attendees will also explore how to query and report data in ways that best visually represent their projects. Be sure to also attend the “Creating Drawings with Annotations and Attribute Controls” as a follow up to this class. Explain how to automatically generate standard and customized drawings from a 3D model. Analyze workflows for querying data to produce schedules and reports. Explore how to create and attach custom data to objects. Examine common tools and techniques that enable data visualization. Climate plays an important role in the performance of all buildings, especially small or thin ones. When designers have access to solid, quantitative data, new opportunities for designing with climate become available. This session will explore the benefits of using BIM for designing architectural projects whose response to climate is expressed in their forms. If you work for a sustainably-oriented practice, this session will enable you to utilize BIM software to further your success. Understand the dominant influence of climate on the design of skin-load dominated buildings. Learn about the quantitative design opportunities BIM offers for sustainability and the value of applying them to the design process. Identify the applicability of a BIM workflow to skin-loaded dominated projects. Discuss specific cases demonstrating BIM’s applicability to the optimized design of high-performance buildings. Gain efficient workflow techniques and valuable time-saving tips from entertainment lighting designer Jim Rood. During this session, Jim will explore alternative paths to achieve a better understanding of Vectorworks capabilities within the entertainment lighting industry. Attendees will discover the most powerful functions that Vectorworks has to offer. Learn quick tips to produce high-quality rendering sets. Explore 3D modeling techniques using basic Vectorworks tools. Discover custom workspace tips and tricks. Sharing your BIM models with your consultants has many advantages, including model checking and coordination. In the end, architects and engineers still have contractual obligations to produce a legal set of documents pertaining to a project being designed. In this hands-on training with Vectorworks Architect Product Specialist Luc Lefebvre, attendees will learn how to use various files from their consultants and put these files to use with their architectural model to provide a fully integrated and coordinated set of drawings. Review the workflow and file exchange process using IFC models and other useful file formats. Review how to set up your BIM model for importing IFC models. Learn how to use model information to coordinate and create more accurate drawings. Every company wants to grow but growth brings its own challenges. For firms that experience growth near 50% per year, it becomes increasingly difficult to maintain happy clients, manage the expanding workload, and make sure the firm’s project workflows stay consistent and efficient. This session will share experiences in how a small D.C. area landscape design/build firm, which moved from hand-drawing to Vectorworks, continues to maintain preferred design standards and workflows to stay efficient, communicate well and encourage innovative approaches. Explore how firms can address challenges in adopting design process changes made necessary by their business’ growth. Learn what it takes to get everyone on board in maintaining design standards and improving communication among team members, subcontractors, and customers. Realize how different learning styles should be approached, including potential hand-holding time to ensure the quickest path to a growing team’s success. In our design process, the early schematic phases often involve exploring site plan alternatives, with the clients and design team leaning heavily on the landscape architects to develop and present those concepts. Through the design development and construction documentation phases, team members, including architects and civil engineers, swap design files multiple times to verify and coordinate with each other, as well as to communicate design changes required by new information regarding the client’s program or the existing conditions. Using case studies, landscape architect Stephen Schrader will show how to set up drawing files to streamline updating civil site plans and architectural plans, how to employ smart tools for site planning and detailed project design development, and how to set up worksheets to extract data from smart objects to prepare cost estimates and determine compliance with green codes and LEED credits. Set up a drawing file prepared for updating civil site plans and architectural floor plans. Use smart tools to speed up the transition from presentation drawings into working drawings (and back). Apply database, reporting, and spreadsheet functions in worksheets to derive site data from the geometry and smart objects in a CAD drawing to create construction cost estimates, demonstrate code/LEED credit compliance, simplify calculation tasks, and reduce errors. Learn to work with a variety of drawing file sharing needs across the design team while preserving data generated in the landscape architectural design. 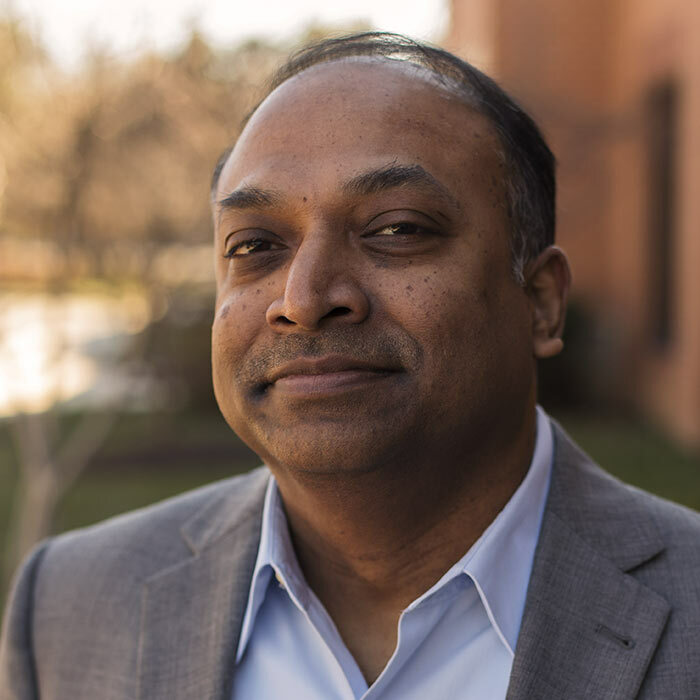 Chief Executive Officer Vectorworks, Inc.
Dr. Biplab Sarkar has been with Vectorworks since 2000. After first serving as a manager of geometry and rendering, he was the chief technology officer from 2008 to 2016. With 25+ years of experience developing CAD software, he was promoted to CEO in April 2016. As CEO, Biplab provides strategic leadership to the company by establishing and meeting company sales, growth, and market share objectives. He continually seeks out technology innovations and evaluates the competitive landscape to ensure Vectorworks software remains a best-in-class CAD and BIM solution for designers in the architecture, landscape, and entertainment industries. Prior to Vectorworks, he served as the director of research and development at Parametric Technology Corporation. In this role, he led a large international team of programmers in both the United States and India. He began his career as a software engineer at ICEM Systems and later became a software consultant at Intergraph. Biplab earned a Ph.D. in CAD and an M.S. in mechanical engineering at The Ohio State University. He also holds a B.Tech. in mechanical engineering from the Indian Institute of Technology, Kharagpur. Vectorworks is enjoying great success. The 2016 software release prompted the biggest growth of new users in company history, and we’ve doubled our staff over the past three years. Amid these changes, one thing has remained constant: our dedication to enabling great design. Looking ahead, learn how Vectorworks is helping designers to close the circle of BIM collaboration and connect with global partners to support all project phases. Also hear how our ESP Vision asset acquisition and PRG partnership are enhancing visualization synergies, as well as how attendees continue to benefit from the convergence of spatial design disciplines. From there, delve into how new developments in the world of technology will shape future software development and impact how you respond to design challenges. This presentation shares some of our current development efforts, including new ideas we’re working on for Vectorworks 2017 and beyond. It's an exciting time, and we hope the conversations started here inspire you to keep your creative edge and transform the world like never before. 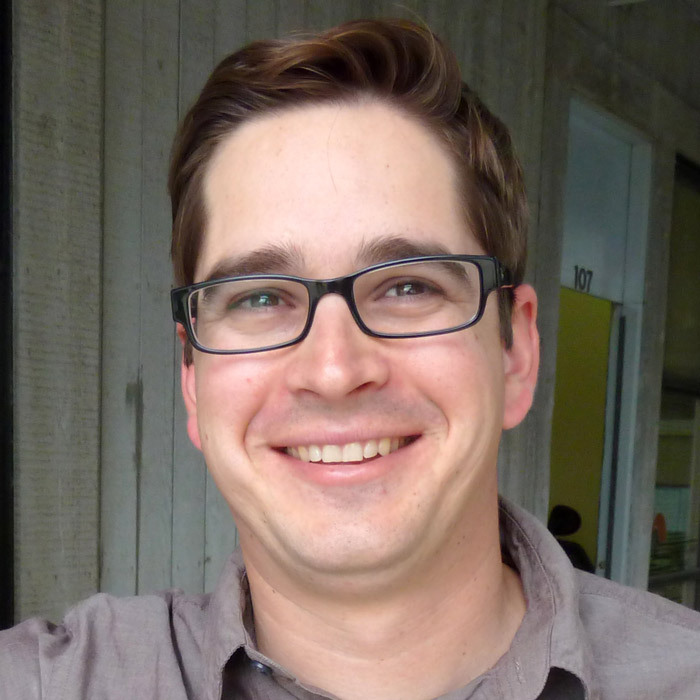 Antoine Predock and his team have planned more than 100 buildings and projects, including Austin City Hall and The Turtle Creek House in Texas, San Diego Padres Petco Park, Stanford University Center for Integrative Studies and The Ohio State University Student Activity and Recreation Center, among others. His firm’s work has been featured in more than 60 exhibitions, 250-plus books, over 1,000 journal and newspaper articles, as well as films such as “Gattaca.” He was also featured on “Good Morning America” as a “Green Architect.” Antoine has been honored with more than 100 national and regional design awards including an AIA Gold Medal in 2006. He also was a Rome Prize Fellow at the American Academy in Rome and is a Fellow of the AIA, RIBA and RAIC and was a William Kinne Fellow at Columbia University. 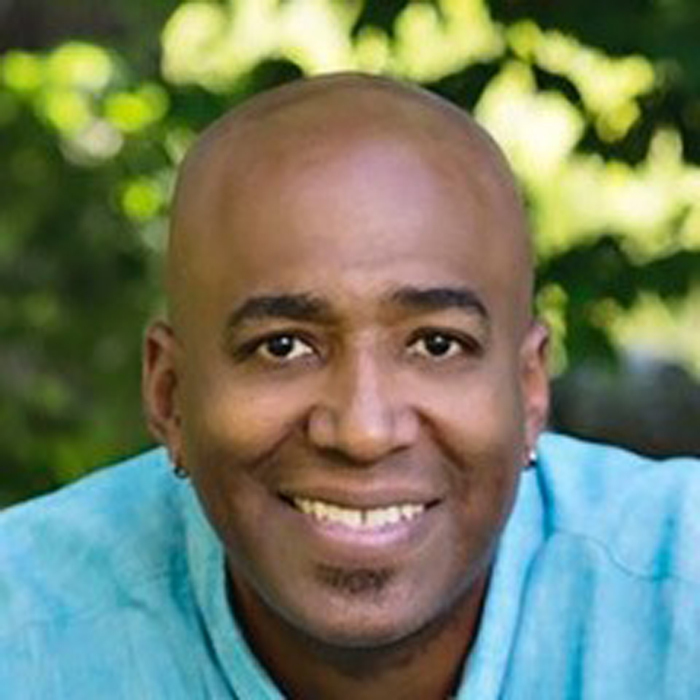 Kevin Lee Allen is an Emmy award-winning entertainment designer, artist, writer, and producer. He creates for film, theatre, television, exhibits, events, fashion, corporate activations, and experiences. He has worked across the United States and on three continents. Kevin is a storyteller, a conceptual thinker, a leader, and a communicator who translates visions and ideas into physical realities. He has been called an architect of dreams. Kevin’s books “Vectorworks for Entertainment Design,” “Entertainment Design: Scenery, Lighting and Sound with Vectorworks Spotlight,” and “Theatrical Design: An Introduction” are currently in print. Kevin has taught or lectured at Carnegie Mellon University, The Vectorworks Design Summit, Montclair State University, Rutgers University, and the Broadway Lighting Master Classes. In addition to the Emmy, his television designs have been honored with BDA and PROMAX Awards. His artwork is held in private collections and in the permanent collection of the Library of Congress. 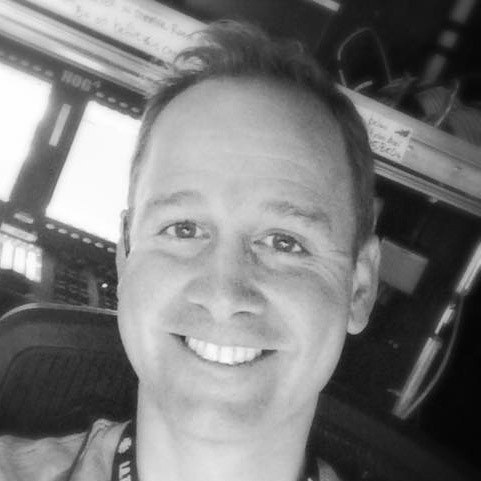 Scott is a lighting console programmer for the motion picture business in Hollywood. He has worked on more than 50 movies, for many of which he used Vectorworks. In the last ten years, he has worked on ten Marvel films. He has also been on the beta testing team since 2011. Early in his career, Barnes did most of his drawings and renderings by hand. When design technology started to become more commonplace in the industry, he was quick to embrace it for his work. He first used Vision software for the movie “Dreamgirls” to previsualize camera movement on set, but when it came to 2D drafting and 3D modeling, he was still grappling for a solution. He had dabbled with 3D modeling in Maya, but it had overwhelmed him. He discovered Vectorworks Spotlight because of its tight integration with Vision, gave it a chance, and realized it was the best 2D and 3D industry-specific tool for his workflow. For movies, he collaborates with set designers, construction crews, gaffers, cameramen, and anyone else involved in the production process. Each team is only responsible for specific parts of bringing the production together, but Barnes’ job goes beyond just creating the lighting plots, as he brings all the different elements together. 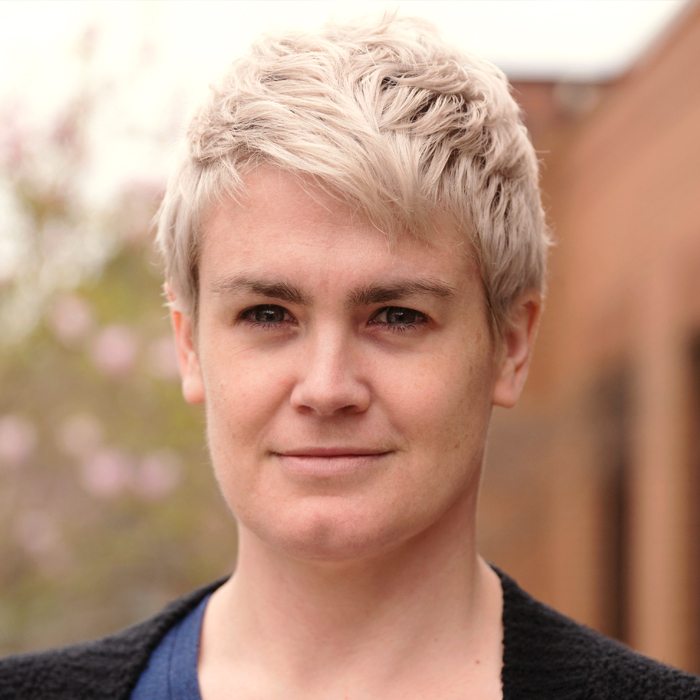 Architect Product Specialist Vectorworks, Inc.
Sarah Barrett brings more than a decade of experience as an architect and graphic designer, as well as professional expertise in the field of parametric modeling, to her role as an Architect Product Specialist at Vectorworks, Inc. In addition to serving as an architectural expert and BIM specialist for the company, Sarah helps create best practices for Marionette, the integrated algorithmic modeling tool in Vectorworks software. She also leads webinars and workshops on a variety of industry topics and develops materials to help customers improve their workflows and design processes. Sarah has an M.Arch. from the University of Michigan and a B.A. in architectural studies from Brown University. Landscape Marketing Specialist Spring Meadow Nursery, Inc.
Jane Beggs-Joles has a B.S. in horticulture and an M.S. in agricultural economics, both from Michigan State University. 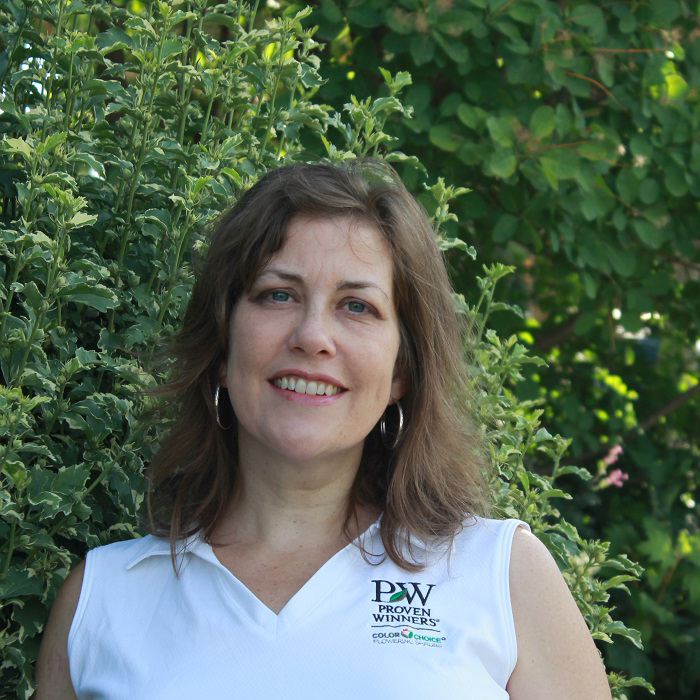 She has worked in the wholesale nursery trade for over twenty years and, as a member of the Spring Meadow Nursery team, has had the pleasure of helping to introduce many popular plants to the North American horticulture trade. She and her husband have two teenage daughters, a Norwegian elkhound, and two cats. They enjoy camping, hiking, and exploring Michigan’s many fine craft breweries. Jane’s favorite plants include Little Lime® and Tiny Tuff Stuff™ hydrangeas, Kodiak® Orange Diervilla, and any Helleborus. 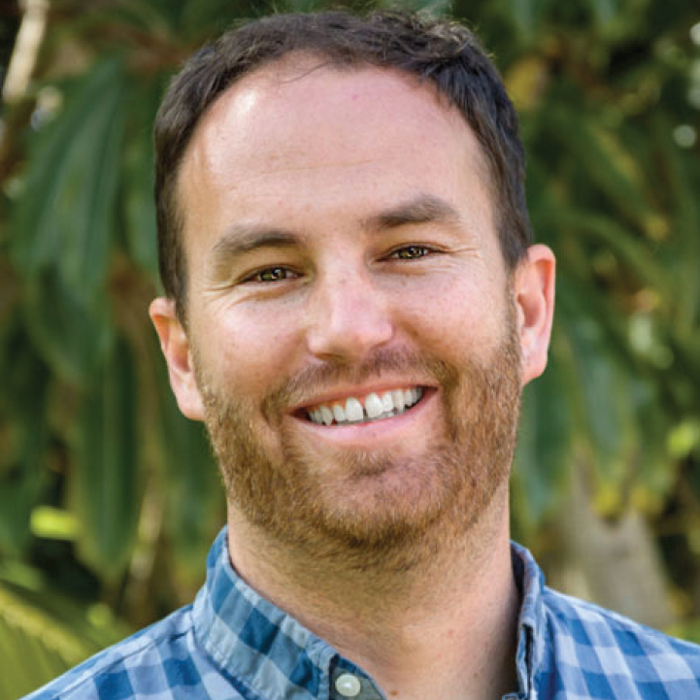 As a senior associate with Pacific Coast Land Design (PCLD) in Ventura, California, Eric J. H. Berg is an integral part of the small, successful regional landscape architecture practice. He combines his passion for technology and design and a love of the outdoors and built environment to design beautiful, site-responsive, and sustainable spaces. That passion was instilled early, growing up in Montana, and reinforced through his education, as he ultimately earned a master’s of landscape architecture from the University of Washington. His professional experience ranges across the scope of landscape architecture. He worked as a research assistant for the Sustainable Sites Initiative, spent five years with a design/build landscape contractor in Bozeman, Montana, and has teaching experience as both an adjunct professor of landscape design at Montana State University and an extension educator at the University of California, Santa Barbara. Vickie Claiborne is a product specialist for PRG in Las Vegas. 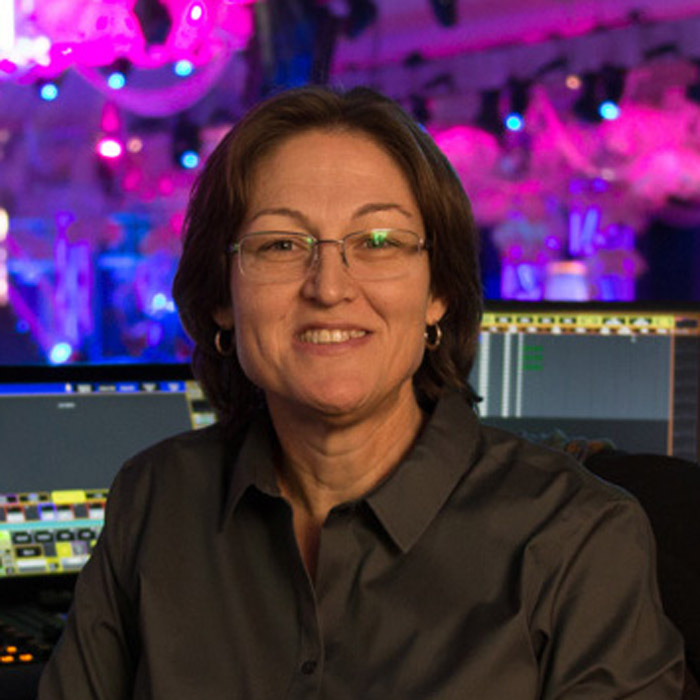 Her background in lighting design and programming, digital media design and programming, and lighting console training spans over 25 years in the lighting industry. Prior to joining PRG in 2008, Vickie worked as programmer and training manager for High End Systems. In 2006, she set out as an independent lighting designer and programmer for live performances, concerts, TV, and corporate theatre, as well as a training consultant for Martin Professional. One of the proudest moments in her career to date has been as lead programmer for the Opening Ceremonies of the 2000 Olympics in Sydney, Australia. Vickie is also a contributing writer for PLSN magazine, covering topics on digital media and programming, and she published her first book, “Media Servers for Lighting Programmers,” in 2014. Design + Sciences, Grey Leaf Design, Inc.
Senior Architect Product Specialist Vectorworks, Inc.
Senior Architect Product Specialist Vectorworks, Inc. Juan Carlos Fabbiani, AIA, graduated with a degree in architecture from the Universidad Central de Venezuela and is a registered architect in both Venezuela and the state of New York. Juan owned his own architectural practice in Venezuela in the 1990s where he used MiniCAD software, the precursor to Vectorworks software. A Vectorworks user for his entire life, Juan moved to the United States in early 2000s and began working at Peter F. Gaito and Associates, designing both residential and commercial projects from concept to construction management, before once again starting his own firm where he designed spaces for high-end retail clients. He now works as a senior architect product specialist at Vectorworks, Inc., researching and developing everything from collaboration workflows and new plug-ins, as well as supporting the product development, sales, and marketing teams. Erik Fjermestad is a Norwegian architect with a strong environmental focus. He finished his master's degree at the Norwegian University of Science and Technology (NTNU) in 2007, with an emphasis in complex architectural design, visual communication, public space, and architectural scenography. For the past ten years, he has been at GASA, one of Norway's leading firms for sustainable architecture, mostly working on small-scale housing, kindergartens, and public schools. Recently, Erik completed training in energy-efficient house design at NTNU and finished the construction of the Furuset medical center in Oslo, Norway. He is currently a partner and the CEO at GASA and is working on the new Ruseløkka public school in Oslo, Norway. Wes Gardner, Assoc. 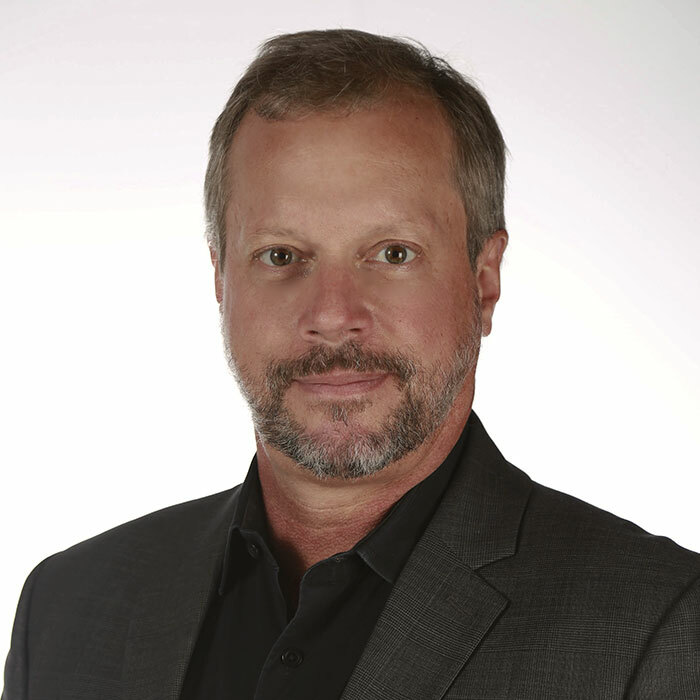 AIA, utilizes his BIM expertise and professional architectural experience to advise the Vectorworks product development team, as well as support the U.S. sales and marketing teams, as a senior architect product specialist. He works with top architecture firms to understand their needs and goals, and demonstrates how Vectorworks software can help them to successfully deliver projects while utilizing BIM workflows. He also works directly with the Vectorworks user community to encourage the adoption of BIM to maximize productivity and efficiency. Wes earned a bachelor's degree in architecture from the University of Maryland, College Park. He worked with commercial and residential firms prior to joining Vectorworks in 2007, including a three-year tenure at Charles E. Anthony Architects. Wes’ team earned AIA design awards for numerous projects, including the Phillip’s residence home/monastery renovation in Annapolis, Maryland and the Temple Beth Shalom sanctuary addition in Arnold, Maryland. Product Marketing Manager – Landscape Vectorworks, Inc.
Eric Gilbey, PLA, ASLA, Prof. Member APLD, product marketing manager – landscape, uses his professional experience and CAD skills to assist in the development, marketing, and sales of Vectorworks Landmark. His unique experience as a practicing landscape architect and user of various CAD programs allows him to write and speak for several green industry associations, helping landscape architects and designers develop best practices including sustainable site design and site information modeling. 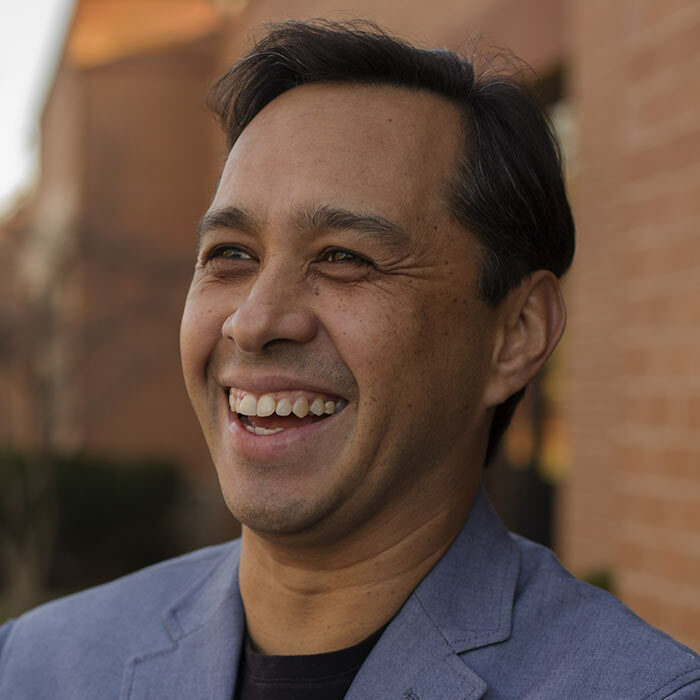 He has served as the trustee for ASLA’s Maryland Chapter, chair of ASLA’s PPC Firm Technology Subcommittee, and director of governance for APLD. He is also a member of NALP’s Supplier Advisory Council. 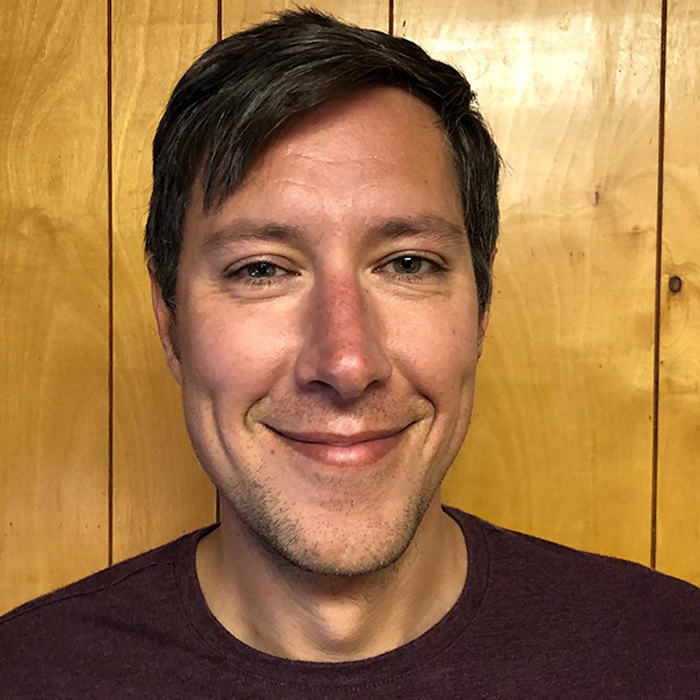 Eric received an AAS degree in landscape contracting and construction, as well as a BS degree in landscape architecture from The Ohio State University. 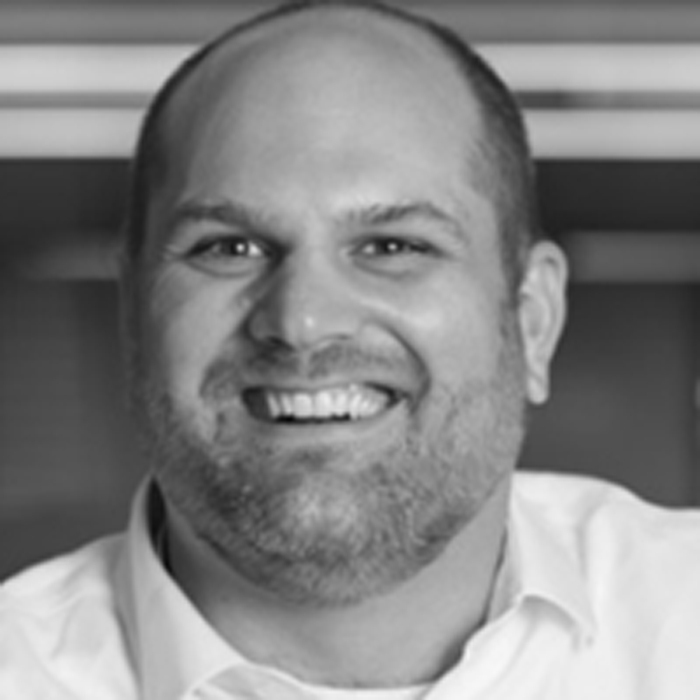 Director, President Design + Sciences, Grey Leaf Design, Inc.
As director of Design + Sciences and president of Grey Leaf Design, Inc., Bryan Goff is responsible for setting and controlling the design direction of projects. Bryan’s role is interactive to ensure the functional, practical, and aesthetic elements of the design are achieved. Bryan’s interest in the environment and his passion for design is enhanced by a commitment to excellence in design and innovation through science and research. He brings over 20 years of experience with a vast portfolio of projects, from small residential gardens to luxury private residences, 40,000-square foot green roofs, and master site planning. His belief in a collaborative design process is evident in his work. This belief has brought awards and recognition as an innovator when it comes to solving site design challenges and creating inspiring landscape design. 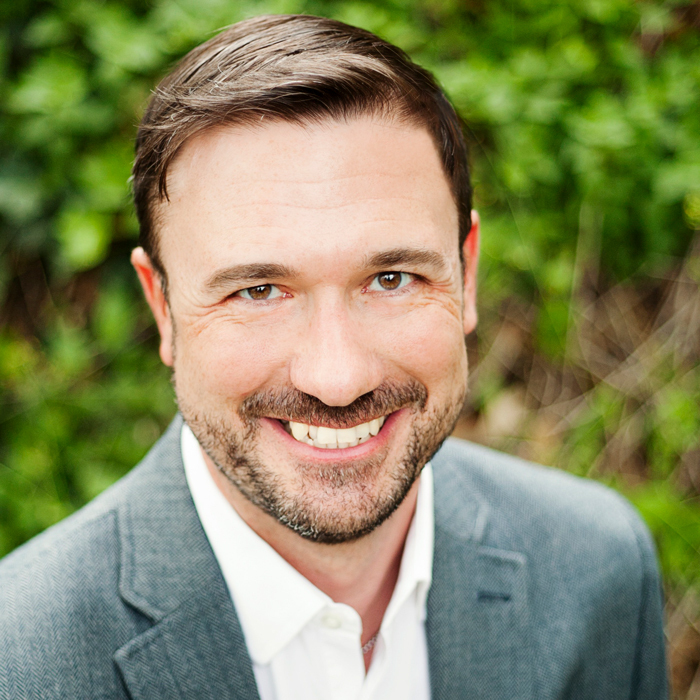 Michael Groves has been working for Vectorworks for over seven years. He started out as a technical support specialist and is now part of the customer success team, where he focuses on training. In addition to providing online and in-person Vectorworks training, Michael has created many technical and training videos, including Vectorworks Getting Started Guides and Tech Tip videos. Brian Hores applies BIM design processes to varied project types, from residential renovations, to single and multi-family residences, to commercial and educational facilities. He believes computer modeling and rendering expedite the collaboration between clients and design team as projects evolve from concept to construction. 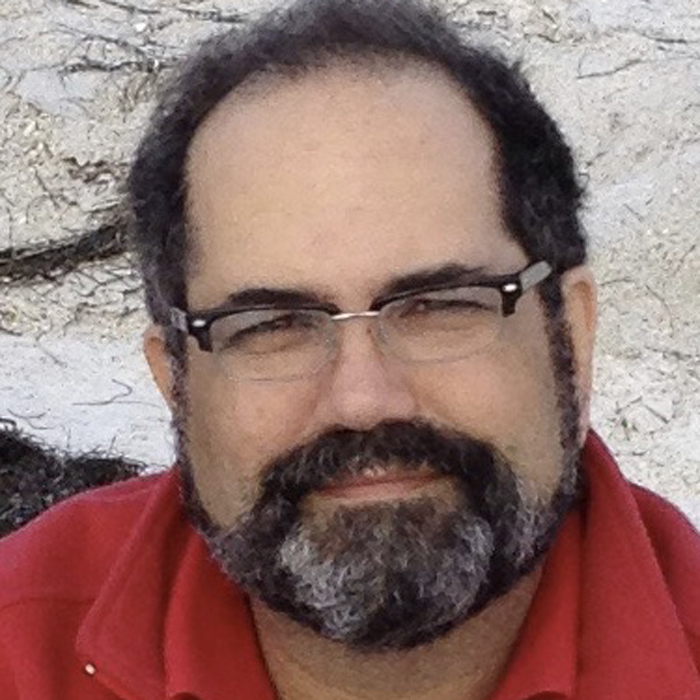 As an adjunct professor at Wentworth Institute of Technology, he has taught computer modeling and rendering, mechanical systems, and technical drawing. Brian also chairs the Boston Society of Architects’ Vectorworks User Group. 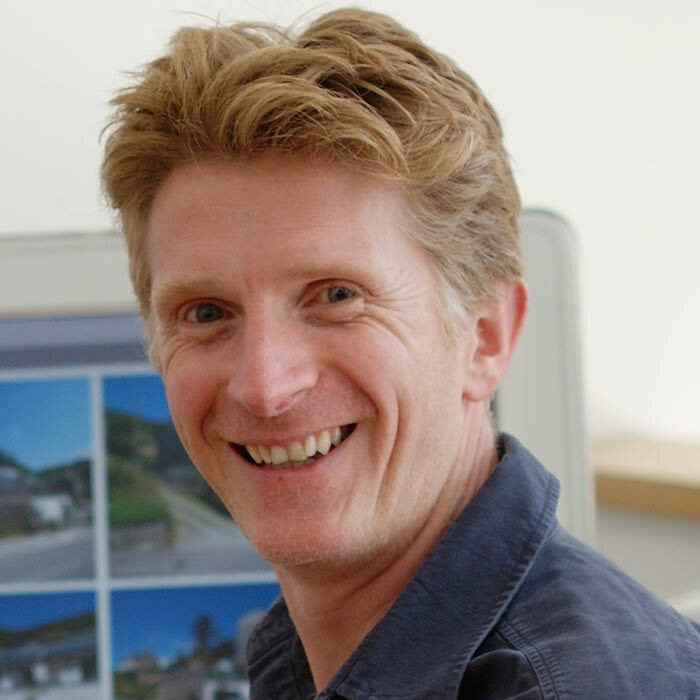 A designer by training, Martyn Horne has been working in the construction design industries for twenty years with a broad experience in the landscape, architectural, and product disciplines. As director of digital practice strategy for Vectorworks UK, Martyn helps users adopt industry standards, implement new workflows, and make the most of opportunities offered by emerging technologies. He is an active member of the UK BIM Alliance and serves as the technology lead on the UK Landscape Institute Digital Practice Group. He also was previously involved in the UK Government-backed COBie IFC Phase 2 Trials and the National BIM Library project. Teresa Hull has been a Vectorworks user since 2002. She primarily works as a lighting designer, but also gets involved in other aspects of production as a production manager, draftsperson, and production coordinator. Teresa is a firm believer that communication is both the most difficult and the most important thing to master in the entertainment business. Any time a method of communication can be streamlined, it benefits everyone. Teresa has worked with Vectorworks and other third-party plug-in and software developers over the years on different ways to improve how information is shared between programs or used within programs. Teresa is very excited about the development of the General Device Type Format (GDTF) and how it will change how different programs exchange information. 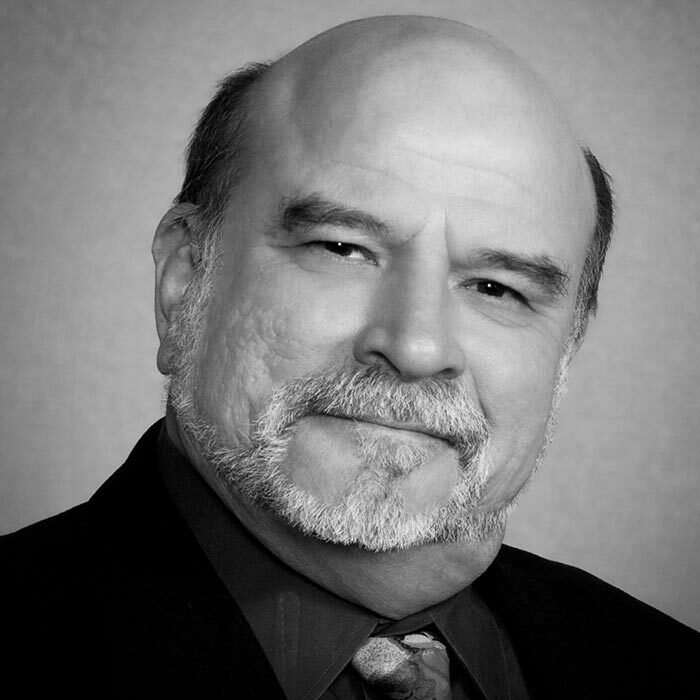 Stephen Jones is a United Scenic Artist 829 scenic and lighting designer who has been designing for over 25 years. He was in the Master’s degree program at the University of Houston. His work can be seen on Off-Broadway and regional theaters and dance companies across the country. As a designer, Stephen utilizes Vectorworks Spotlight for rendering, sketching, and technical drawings. Stephen is an assistant professor at Vassar College, where he serves as a professor of design and as the director of theatre. He serves as a third-party trainer and beta tester for Vectorworks, and has conducted three webinars on rendering and drafting using the software. User Experience Specialist – Entertainment Vectorworks, Inc.
Vectorworks User Experience Specialist Edward Joseph uses his software and technical expertise in lighting pre-visualization and design to assist in the sales, marketing, quality assurance, and technical support of Vectorworks Spotlight and Vision software. You may know Edward from his presentations at the LDI tradeshow and at the Stagecraft Institute, where he provided training for the Vision product line, or from his classes at the University of Nevada, Las Vegas. Edward joined the Vectorworks team in 2015 as part of the ESP Vision asset acquisition, and he uses his expertise to help cultivate happy and successful users in his role as lead of Vision support and quality assurance. Edward will continue to promote Vision and its interoperability with Vectorworks Spotlight at tradeshows, conferences, seminars, and now, the 2018 Design Summit. Michael Klaers splits his time almost evenly between entertainment design and architecture. He a lighting designer and the founder of Californa-based firm The Small Group, which creates designs for theater, concerts, and events. Michael believes the precision of working with the 3D modeling tools in Vectorworks Spotlight software provides him with a high level of certainty and lets him test various design concepts with ease. Product Marketing Specialist – Landscape Vectorworks, Inc.
Tony Kostreski, ASLA, brings institutional, mixed-use, and residential site design proficiency to his role as product marketing specialist for the landscape industries at Vectorworks, Inc. His experience includes the design of high-end residential landscapes, various waterfront sites, and GAR (Green Area Ratio) projects throughout Washington, DC. Tony has also helped design-build and landscape architecture design firms become more efficient by producing a series of software template files and resource libraries that streamline drafting and worksheets to track data, create plant and material lists, perform calculations, and generate preliminary cost opinions. 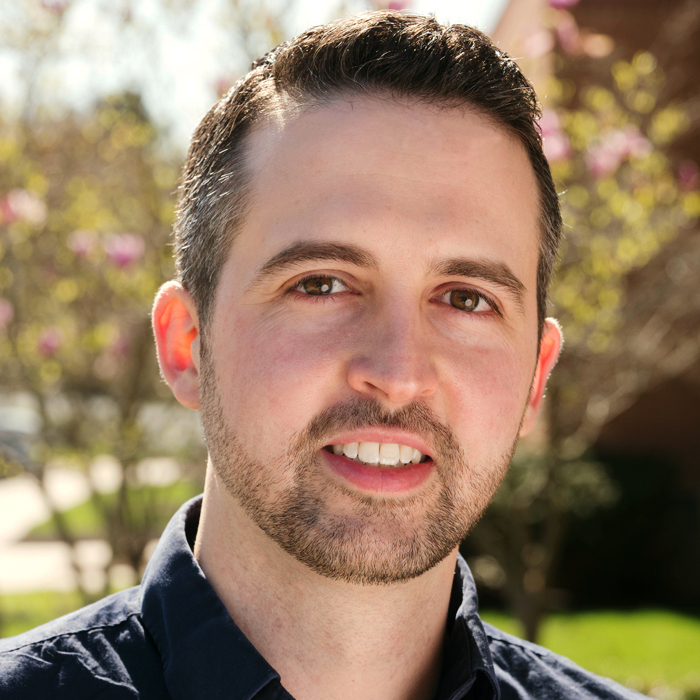 He holds a bachelor of landscape architecture from the University of Maryland, College Park and has served the ASLA Maryland Chapter as its executive committee secretary and program committee chair. 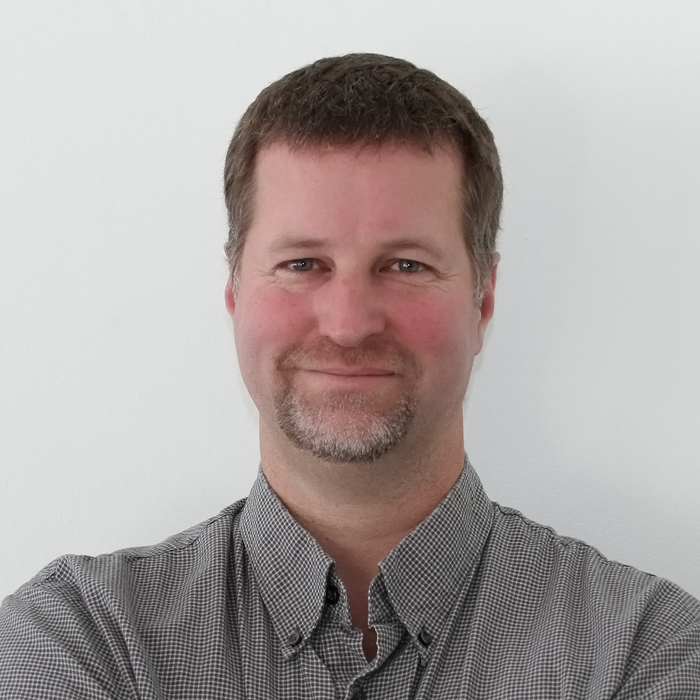 Luc Lefebvre, OAQ, LEED AP BD+C, received his undergraduate degree in architecture from Montreal University, and since then he’s enjoyed more than 20 successful years in the business. Before joining Vectorworks as a senior product specialist, he served as project manager and BIM manager at King + King Architects in Syracuse, New York, where he focused on designing educational facilities and acted as a BIM consultant for both internal employees and other firms. Some of his past projects include Le Moyne College Master Plan and Madden School of Business, SUNY Cortland DeGroat Hall, and SUNY Morrisville Mohawk Hall. In his office, Lefebvre was responsible for streamlining building information modeling processes and played an integral part in King + King Architects’ company-wide transition to BIM. François Lévy holds a BA in classics and philosophy from St John’s College in Santa Fe, and two master’s degrees from The University of Texas at Austin, one in architecture and the other in engineering. 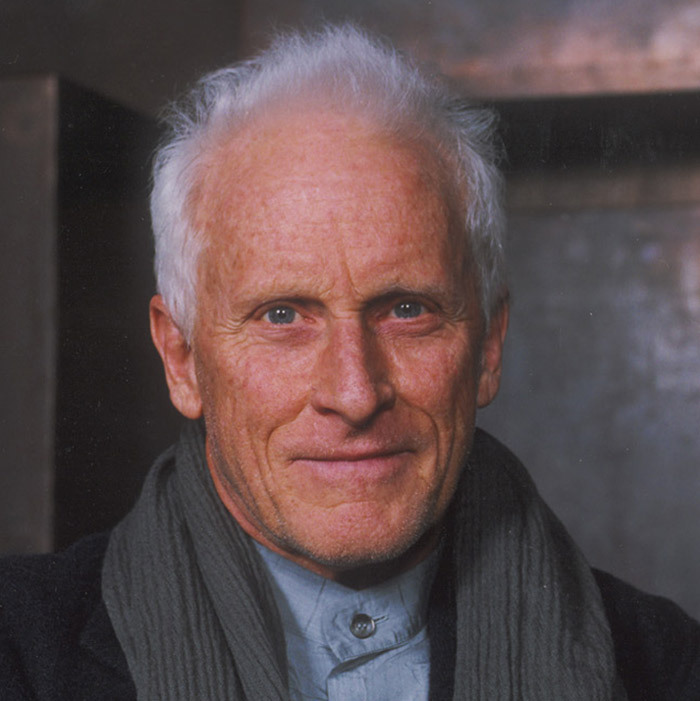 His architectural projects have attracted regional and national press, including magazines such as Dwell, This Old House, Natural Home, and HGTV. 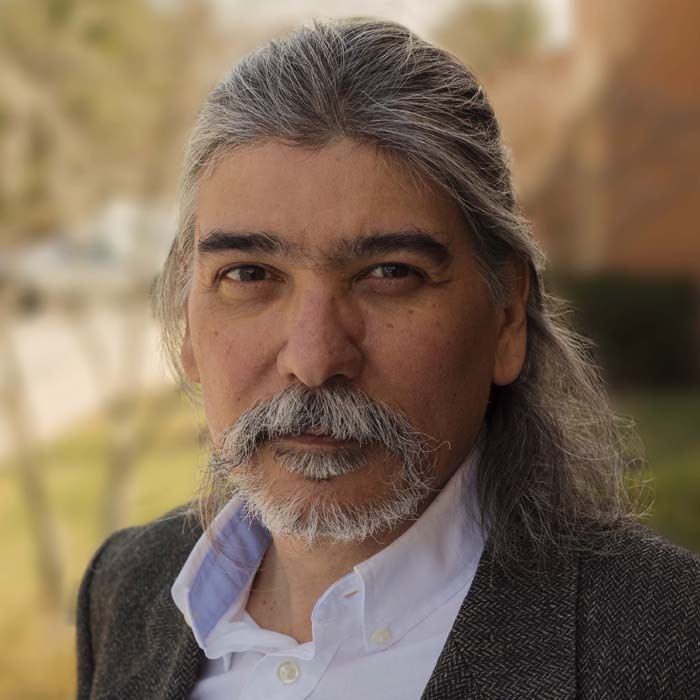 He has taught digital design, BIM (building information modeling), and environmental controls courses at both the undergraduate and graduate level at UT Austin, The University of Texas at San Antonio, and St. Edward’s University in Austin, Texas. 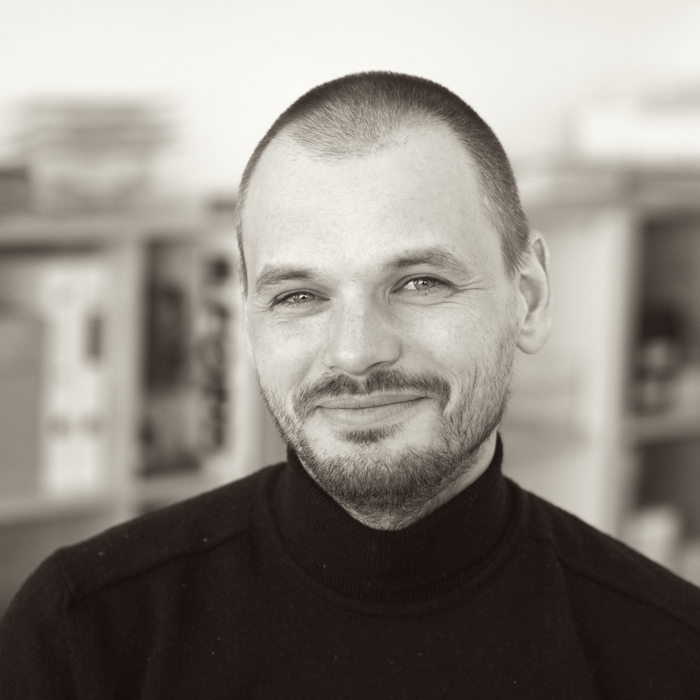 Lévy is the author of BIM for Small - Scale Sustainable Design (Wiley, 2011) and a contributor to the AIA’s The Architects Handbook of Professional Practice, 15th edition (Wiley, 2013). His areas of research interest include BIM for design, sustainable architecture, cooling through passive ventilation, and space architecture. He has presented widely at architectural conferences, as well as aerospace conferences. Danilo Maffei, APLD, PCH works with residential, corporate, and hospitality clients who share a common vision that the outdoors deserves as much consideration as the indoors, with an emphasis on planting design and usable spaces that complement the natural and built environment. He is a graduate of the Longwood Gardens Professional Gardener Program and uses his experience in public horticulture, landscape design/build contracting, and civic leadership to benefit his clients and community. 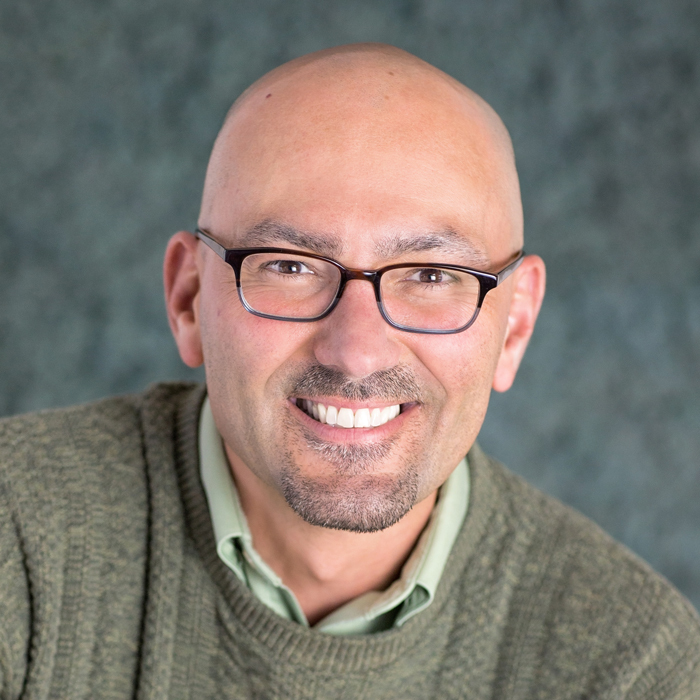 Mr. Maffei is an adjunct instructor of landscape design at Longwood Gardens, a former guest lecturer at the University of Delaware, and the 2018 President of the Association of Professional Landscape Designers (APLD). As a designer and planner, Joseph Marshall is dedicated to the realization of memorable spaces. His representative projects include public and private educational institutions, civic and performing arts facilities, and residential estates across six continents. He advocates for streamlined BIM modeling to aid in design communication, coordination, and review. 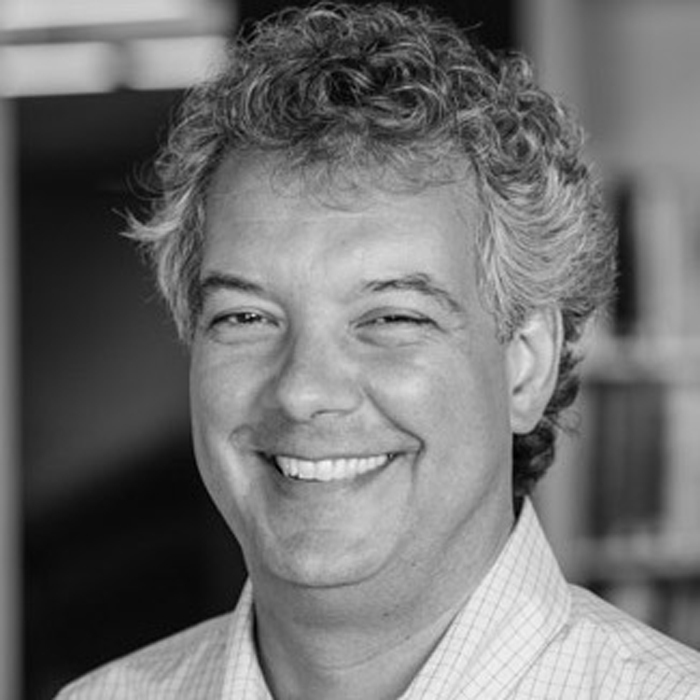 Joe is a project architect and technology coordinator for Flansburgh Architects and an internationally recognized leader in the planning and design of educational and cultural facilities. Ida Ruth Mathisen is a Norwegian architect with an international background. She studied at the Norwegian University of Science and Technology with an exchange year at The Royal Danish Academy School of Architecture in Copenhagen. 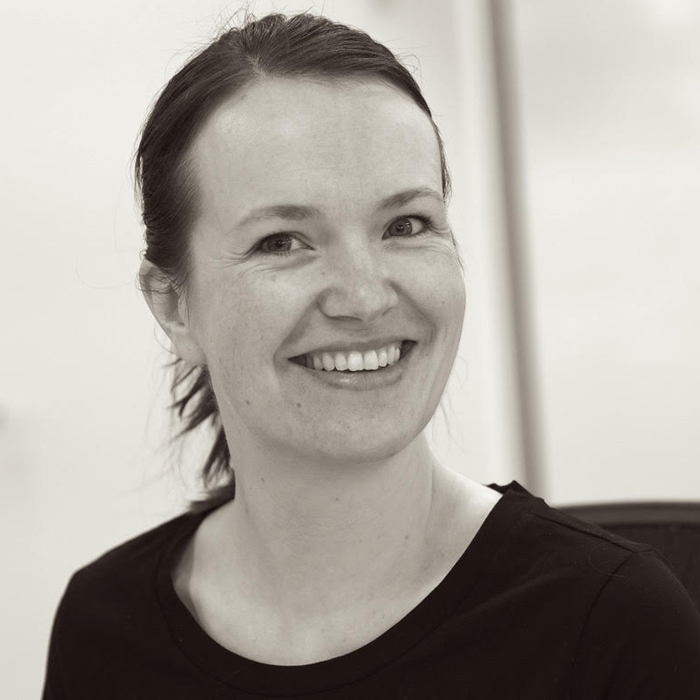 Ida joined GASA in 2010 after working for the Metropolitan Workshop in London and MVRDV in Rotterdam. Her experience ranges from education, housing, and offices to cultural and commercial projects. Through several projects, Ida has developed solid experience in the use of different computer programs, and she is skilled at illustrating projects through physical models, 3D drafting, CGIs, and diagrams. She is the BIM manager in the office and has been responsible for BIM management on several projects that include interdisciplinary collaboration and coordination. At GASA Architects, she has worked on a Forum Expo in Stavanger, elderly housing in Vestby, and on the Oslo Katedralskole, an educational extension project with an opening attended by the King of Norway. She recently served as the office BIM manager on a 10,000-square-meter school project, Holmen skole. 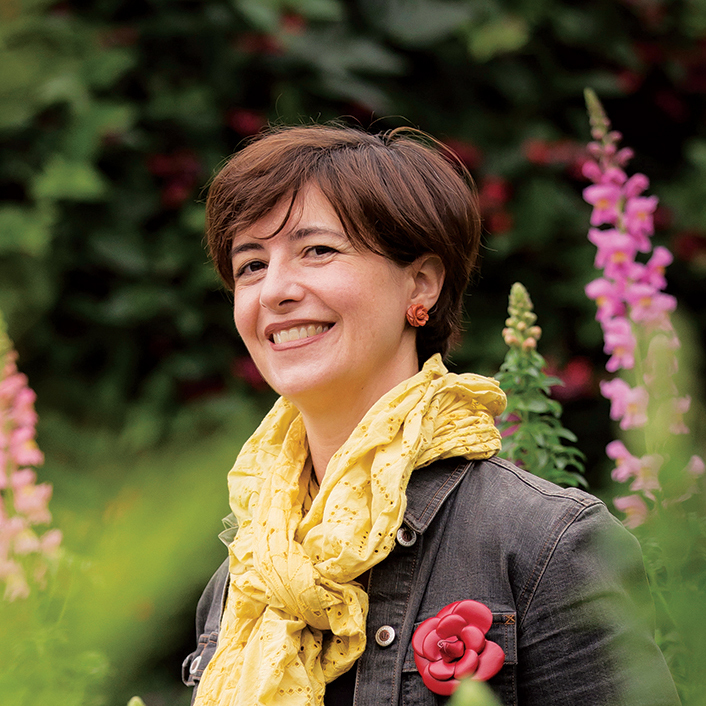 Edamarie Mattei is the owner of Backyard Bounty, a landscape design/build firm in Silver Spring, Maryland. Edamarie is an acknowledged expert in native plants, storm water management, and organic landscape design. She has followed a storied career path, and landscape architecture was not always a part of it. After graduating from Georgetown University, she became a 9th grade English teacher in New York City’s South Bronx. She then went on to be a teacher trainer and taught in Montgomery County, Maryland, as well as in California. It was in California where she developed a passion for gardening that led her back to school to study landscape design and horticulture. Mattei has created hundreds of beautiful, responsible, outdoor living spaces in the Washington, DC area. Todd McCurdy, FASLA, is vice president and director of Landscape Architecture and Planning at Huitt-Zollars in Orlando, Florida. A graduate of The Ohio State University, Todd has led the establishment, growth, and success of Huitt-Zollars’ landscape architecture, planning, and urban design studio. His 30+ years of experience with place-making, tourism, and sustainable design have allowed him to advise developers and government entities world-wide in the planning, development, and redevelopment of new destinations and major urban centers. Whether working on an exclusive enclave in the dunes of Arabia, an eco-tourism masterplan in the Brazilian rainforest, an urban masterplan where tourism is a key factor, or a theme park environment, Todd brings his well-studied body of knowledge of people and places, and the quality of guests’ experience, to bear on all types of projects. 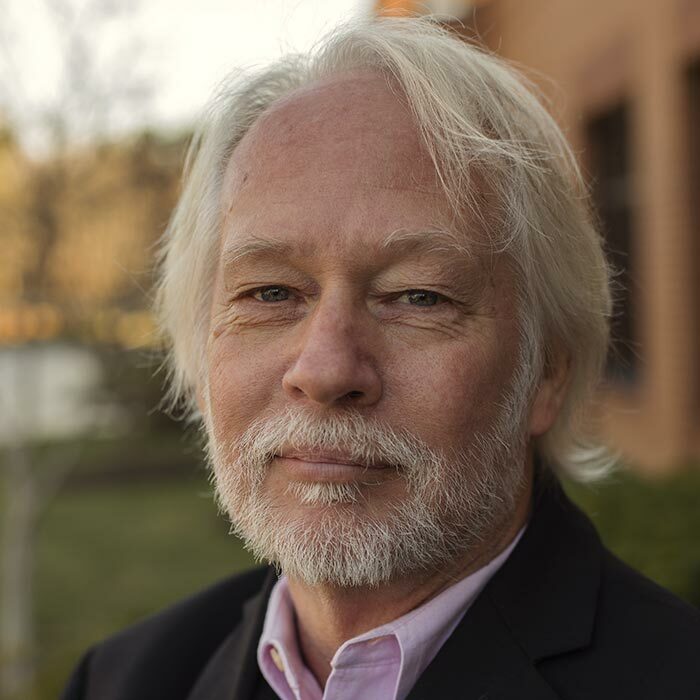 Scott C. Parker has been a freelance lighting designer for over 30 years and is currently the director of event lighting for IMS Technology Services. He is member of USA829 and an ETCP certified rigger and electrician. Scott produces the annual Stage Lighting Super Saturday workshop in New York City, served as chair for the USITT NY Area Section, and is active at the annual USITT national conferences. 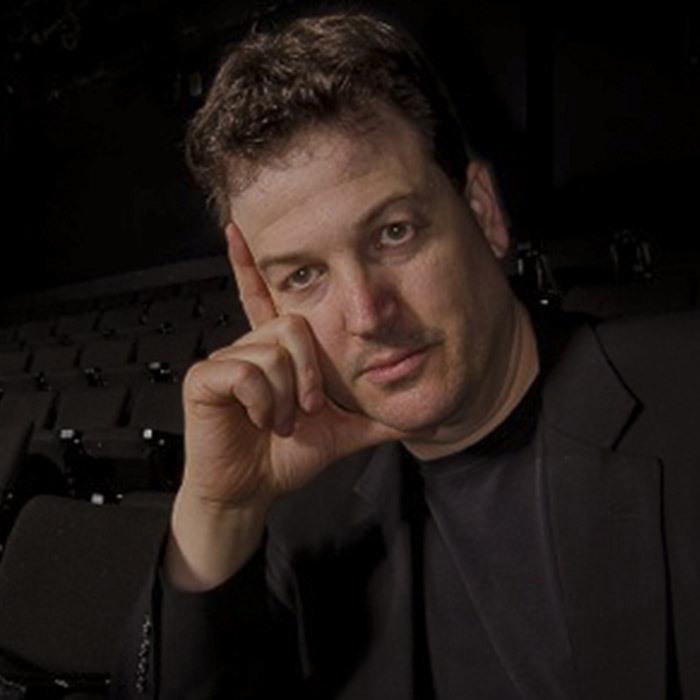 He has taught at Rutgers University, Temple University, Columbus State University, Johnny Carson School of Theatre and Film, Pace University, New York City College of Technology (City Tech), The City College of New York, Edward R. Murrow High School, and The Berkeley Carroll School. 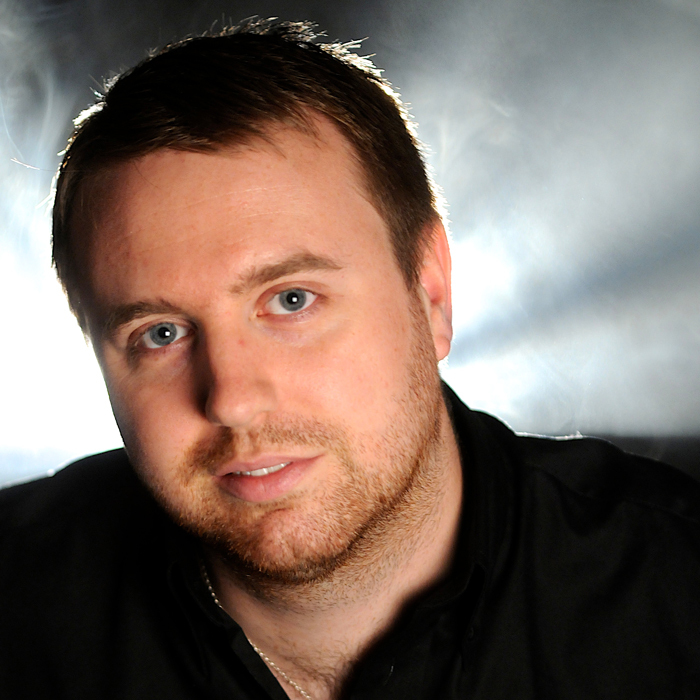 Dan Reed is a multidisciplinary lighting and production designer living in Los Angeles. Dan received six Emmy Certificates of Contribution during his eight-year tenure at Full Flood Inc. (for the 2002 Olympic Opening Ceremonies in Salt Lake, the 2004 Olympic Opening Ceremonies in Athens, the 75th Academy Awards, and the 46th, 49th, and 50th Grammy Awards) and was honored to have prepared the lighting blueprints for the 2004 and 2008 Democratic National Conventions. With the CD+M Lighting Design firm, Dan oversaw the Olympic Water Cube conversion to the Happy Magic Water Park in Beijing, opened LEGOLAND in Malaysia, programmed the architectural LED façade of Ferrari World Abu Dhabi, and spent six months as the lighting designer and programmer for dark rides and attractions at IMG Worlds of Adventure, Dubai. Dan is currently collaborating with Joshua Hutchings at Illumination Advocates for the LED retrofit of Let’s Make a Deal and $100,000 Pyramid game shows. 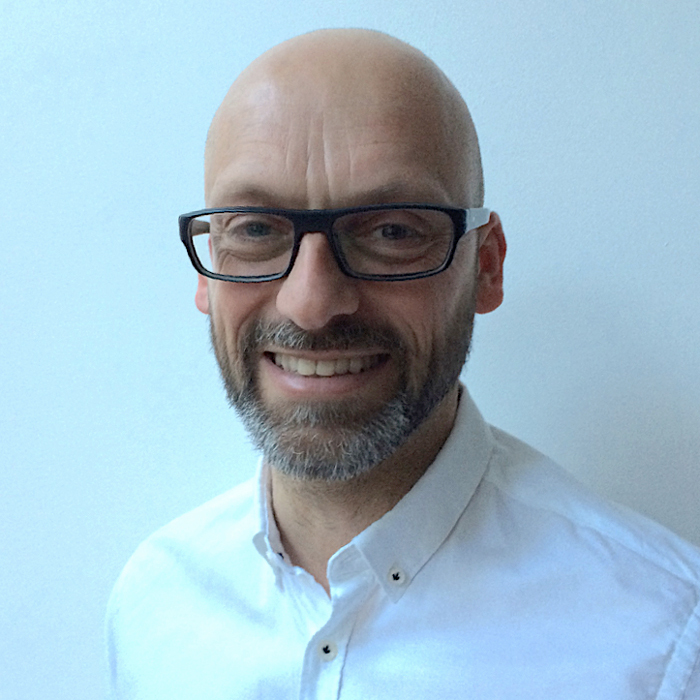 Jonathan Reeves is an experienced practicing architect, author, and professional Vectorworks trainer who has spent the last 20 years at the forefront of digital architecture and worked with and taught many renowned UK architects and designers. After completing a master’s degree at Sheffield University in architecture and computing, Jonathan established his own practice in 2000 and has been combining practice with teaching ever since. He is also one of the UK's most experienced architectural Vectorworks Specialist Resellers of CAD and BIM software in the UK. He witnessed and played an important role during the developing transition from CAD to 3D BIM. Having written and presented extensively on this topic for many years, he has a wealth of knowledge on Vectorworks and how best to teach the skills required to achieve successful outcomes. Specializing in the entertainment lighting industry, Jim Rood has provided innovative design, programming, and simulation services for large-scale events nationwide. With a strong passion for his work, coupled with the latest 3D software and lighting technology, Jim delivers quality ideas from concept to realization. Jim began his career in Boston, freelancing in entertainment lighting whilst in college, working on concerts, corporate showcases, festivals, and sporting events. Having worked with a number of prestigious artists, like Metallica and Linkin Park, to the largest festivals, like Coachella Arts and Music Festival, Jim's expertise and understanding of his customers’ needs and requirements have challenged him to utilize software beyond manufacturer expectations. 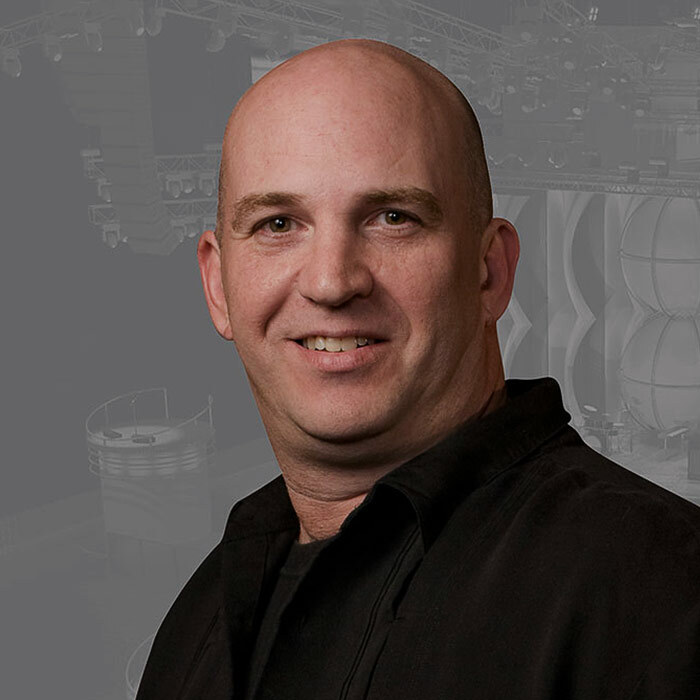 Today, Jim works on corporate and entertainment events of all sizes, specializing in programming, CAD, renderings, pre-visualization, and media servers, providing a complete service for customers worldwide. Luis M. Ruiz, International Assoc. AIA, a senior architect product specialist at Vectorworks, Inc., uses his 20 years of architectural expertise to showcase Vectorworks software's capabilities. In addition, he provides training at AIA conventions and international BIM events. A native of Mexico City, Luis also supports Latin American Vectorworks users and distributors by speaking at events and recording voiceovers for Spanish-language tutorial videos. Prior to joining Vectorworks, he worked as an architectural designer in New England and in Mexico City. Luis earned a master’s degree in architecture from Universidad del Valle de Mexico. He’s been clicking the mouse since the Claris Cad and Minicad v3 days. Associate Landscape Architect Holcombe Norton Partners, Inc.
Stephen W. Schrader, Jr., PLA, ASLA, began his career with a summer internship in the office of New Orleans landscape architect René J. L. Fransen. Stephen spent the next five years creating high-end outdoor living spaces in New Orleans and across the Gulf Coast. After Hurricane Katrina, Stephen settled in Birmingham, Alabama where, with Holcombe Norton Partners, he has completed a wide variety of projects, including over a dozen LEED-certified institutional projects. Stephen holds a bachelor of architecture from Auburn University and is a CLARB-certified landscape architect with active registrations in Louisiana and Alabama. He is the ASLA Alabama Chapter trustee and has served several roles on the chapter executive committee, including president. Steve Shelley, president of Field Template LLC, is a USA829 lighting designer, production manager, author, and graphic designer. He’s designed lighting for Broadway, Off-Broadway, and theatre, opera, and dance companies around the globe. 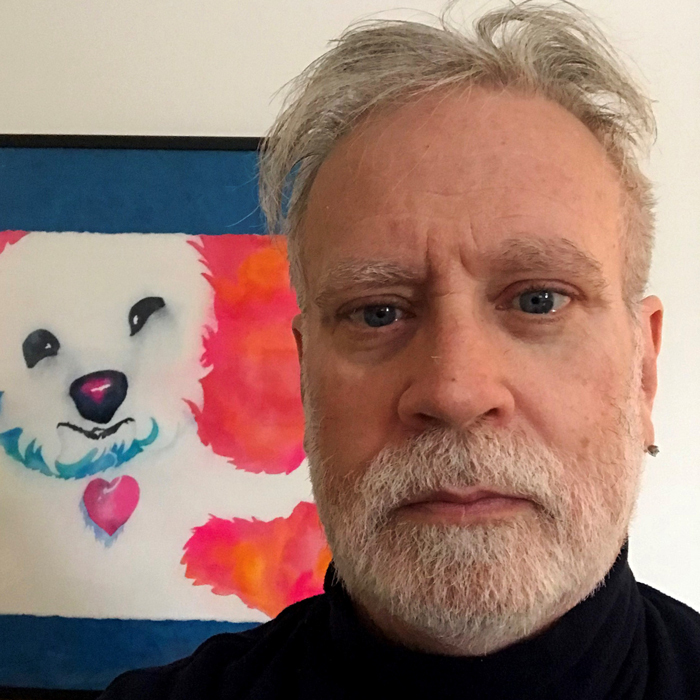 He's toured as a lighting designer, lighting director, and production manager across four continents with presentations ranging from Patti LuPone and Larry King to dance companies such as American Ballet Theatre, the Bolshoi, Paris Opera Ballet, Martha Graham, Twyla Tharp, Ballet Trockadero, and Baryshnikov's White Oak. Steve's conducted seminars at USITT, LDI, SETC, and numerous universities and conservatories around North America. He has also acted as adjunct lighting professor at Rutgers University. Steve is the author of “A Practical Guide to Stage Lighting 3rd Ed.,” the inventor of the Field Template™ plastic drafting stencils, and the designer of the Vectorworks lighting toolkits SoftSymbols™. 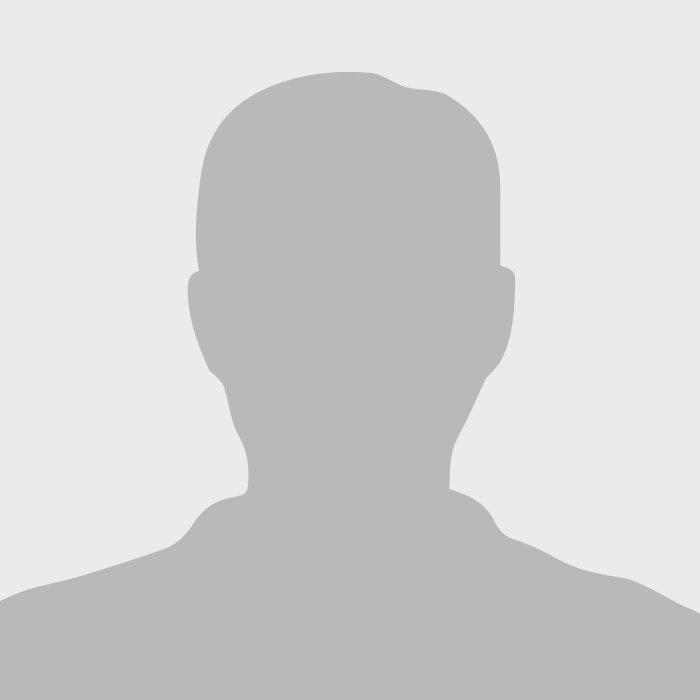 Product Marketing Manager – Architecture Vectorworks, Inc.
Rubina Siddiqui, Assoc. AIA, uses her knowledge of BIM and her architectural experience to work with designers and understand their needs and goals, as well as demonstrate how BIM workflows can benefit their projects by communicating how interoperability and collaboration with all parties in the design process improves with Open BIM. In her role as product marketing manager — architecture at Vectorworks, Inc., Rubina supports the product development, sales, and marketing teams, and creates resources to better help designers achieve success with Vectorworks software. Rubina earned a bachelor of science degree in geology and earth science from George Washington University and a master’s degree in architecture from the University of Tennessee. 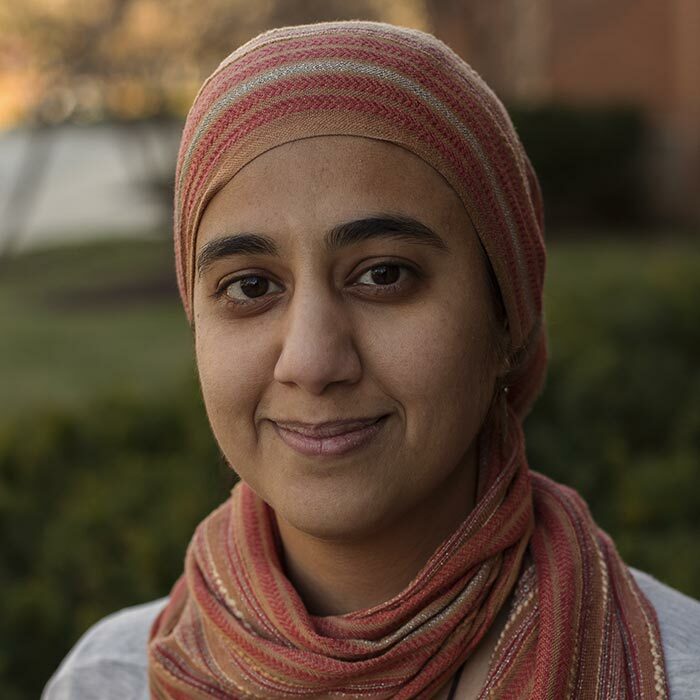 As a geologist, Rubina worked for the Climate History Division of the U.S. Geological Survey. She’s also worked as both a project architect and a BIM manager for multiple firms, focusing on institutional projects, such as schools. With over 25 years of experience in the membrane technology for wastewater treatment, Principal Patrick Stanford is an engineer who also has experience in product management and sales. Pat started using Vectorworks in the early 1990s and was immediately hooked. Pat has been the leader of the Los Angeles Vectorworks User Group since 1994 and an active contributor to the various online Vectorworks communities, including the Vectorworks Community Board, for even longer. Pat offers individual and group training on Vectorworks software, both in person and via the internet. Pat has a special interest in the use of worksheets and scripting to allow reporting and bulk changes to objects in Vectorworks drawings. Amanda Stephens is currently the senior associate designer with David Korins Design. Amanda designed “Here’s Hoover!” for Les Freres Corbusier and has designed for Down Payment Productions, including “Pink!”, for which she received an Innovative Theater Award nomination. On Broadway, she was associate for “The Bandstand,” “Dear Evan Hansen,” “Vanya and Sonia and Masha and Spike,” “Bring It On!,” and “Godspell.” She was also associate designer for “Here Lies Love” at The Public Theater and at the National Theatre in London. Amanda was the assistant for the Broadway productions “War Paint,” “Hamilton,” and “Misery.” Amanda has worked at many theaters in New York City, as well as at theaters across the world, including Center Theatre Group, the Guthrie Theater, La Jolla Playhouse, The Old Globe, San Francisco Opera, Santa Fe Opera, Chicago Lyric Opera, Canadian Opera Company, and Gran Teatro Liceu in Barcelona. 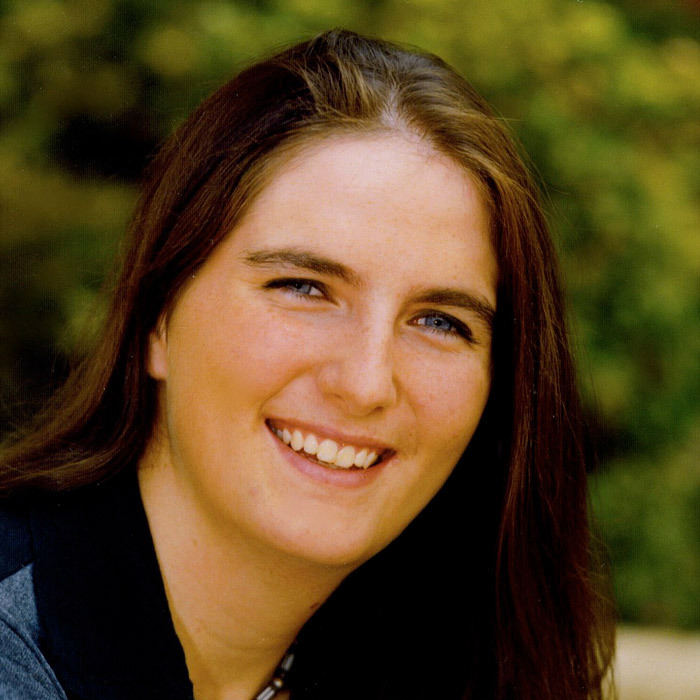 Originally from San Diego, Amanda attended the University of California, Santa Cruz and earned her M.F.A. in scenic design and technology at San Diego State University. 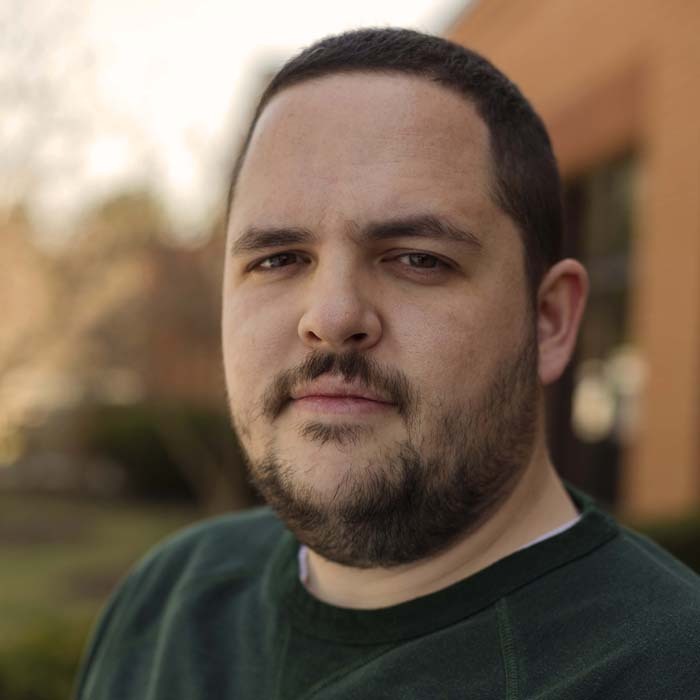 User Experience Manager Vectorworks, Inc.
After over a decade working with the Vectorworks technical support and training departments, Jim Wilson is a vital part of the user success team as the user experience manager. 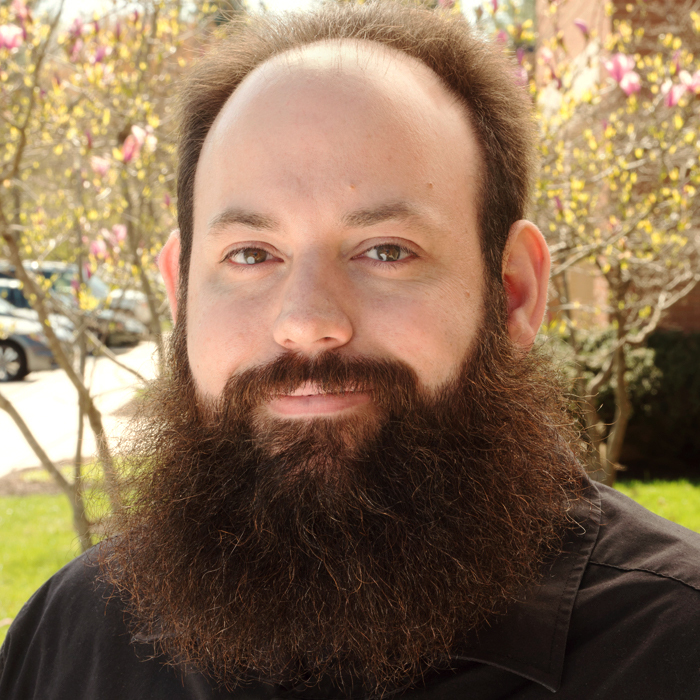 Tasked with identifying and resolving customer issues related to both the software and the company, Jim works across departments to provide feedback and get answers to user inquiries. 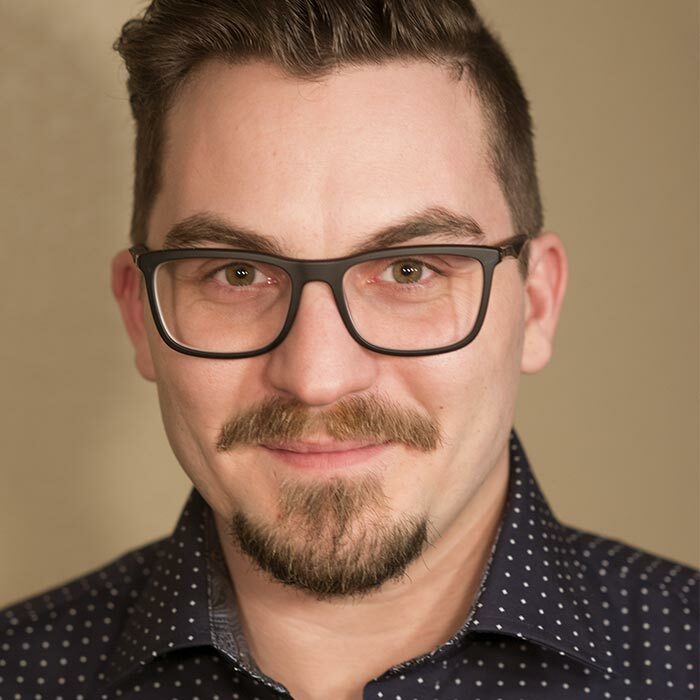 Attendees may recognize his voice from the various YouTube training videos released by the user success team or from his regular posts on the Vectorworks Community Board. Senior Entertainment Product Specialist Vectorworks, Inc.
With more than 40 years of experience in the entertainment design industry, Jim Woodward has done everything from touring world-wide ranging from lighting technician to production manager and owning his own design company, ExhibitLogic, with his wife, Shirley Woodward, tackling 3D visualization, rendering, and modeling for a wide variety of industries, such as concerts, theatrical events, film, television, corporate events, trade shows, museums, architectural firms, and retail stores. He started using Vectorworks Spotlight early on in its existence and eventually began providing training and consulting services with the software. He now works as a senior entertainment product specialist, communicating industry trends back to the team at Vectorworks, Inc. and helping designers take their drawing skills to the next level. As Principal Landscape Architect, Mike Zielsdorf is at the center of Pacific Coast Land Design’s daily operations and responsible for design oversight of the firm’s public-focused project workload. 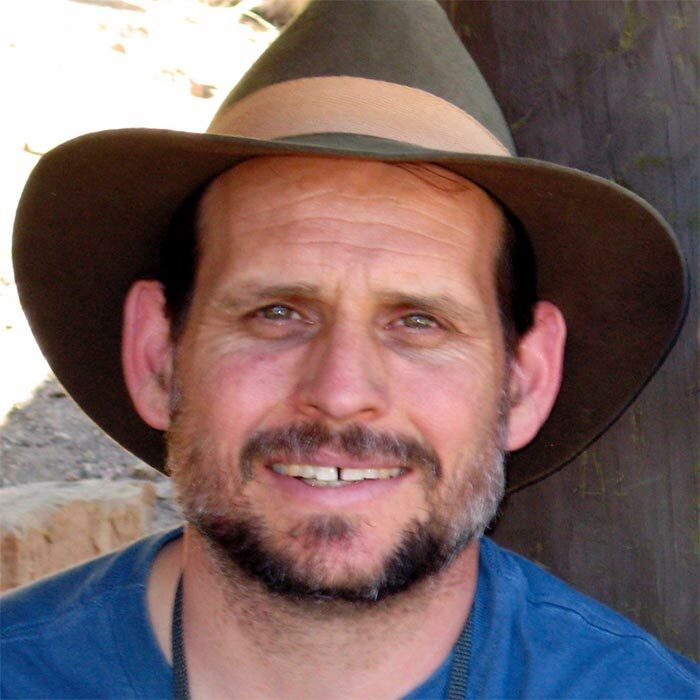 Mike is a Ventura County native, with more than 18 years dedicated to the design of context-sensitive outdoor environments that showcase the definitive cultural and natural resources of the region. That experience includes the planning, design, and construction oversight of urban streetscapes, city parks and open space, public works infrastructures, and infill residential at a variety of scales and income levels. Mike brings technical knowledge backed with a strong understanding of regional context and how best to integrate low impact strategies that maximize water savings and reduce site infrastructure impacts. More than ten years ago, Mike implemented the firm’s transition to Vectorworks, which has been a strong contributor to Pacific Coast Land Design’s growth and success over the last decade. Act now and you’ll pay only $399 and receive a waived resort fee. And for each paid registration, you’ll get one registration FREE. Pay only $499 now and receive a waived resort fee. And for each paid registration, you’ll get one registration FREE. Don’t miss your chance to attend the Design Summit for $599 with a discounted hotel rate of $199 per night. 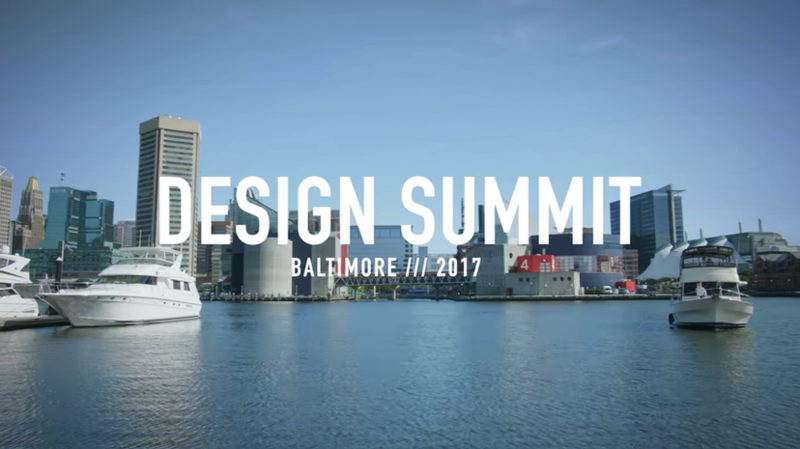 Don’t miss your chance to attend the Design Summit for $699 with a discounted hotel rate of $199 per night. Register before July 31 and receive a special rate of $49. Proof of academic enrollment/employment required during registration. Register from August 1 - November 2 for $99. Proof of academic enrollment/employment required during registration. Convince your boss to let you register. Group Rate: $199/night (single/double occupancy) through July 31, 2018. After July 31, 2018, a $10/night resort fee and $4/night housekeeping gratuity will be added. Please remember to mention Vectorworks Design Summit to obtain the group rate when calling Sheraton Grand at Wild Horse Pass. Reservations are on a first-come, first-served basis until October 15, 2018, or until the block has sold out. We cannot guarantee the group rate in the Vectorworks Design Summit block after October 15, 2018 even if rooms are still available. Self/Valet Parking: On-site parking is complimentary; Valet parking fee: $22 USD daily plus 6% tax. Cancellations made less than 72 hours prior to day of arrival will forfeit one night’s room and tax. An early departure fee of one night’s room and tax will apply if an attendee checks out prior to the confirmed checkout date. Phoenix Sky Harbor International Airport is located 12 miles from the hotel. To/From PHX Airport: Prices average around $40 per one-way trip. Takes 20-30 minutes, based on traffic. To/From PHX Airport: Prices average around $20-45 per one-way trip. Takes 20-30 minutes, based on traffic. Want inspiration at your fingertips? Look no further. Get personal: Create an individualized schedule, download presentations, take notes, and choose your notifications and bookmarks. Go explore: Find your way with interactive maps and turn on location services on your device to receive relevant information via beacon alerts throughout the Sheraton Grand at Wild Horse Pass Resort. Make friends: Direct message other attendees and export contact lists to stay connected after the Summit ends. Go viral: Post directly on your social media channels and share photos and comments from the sessions you attend. 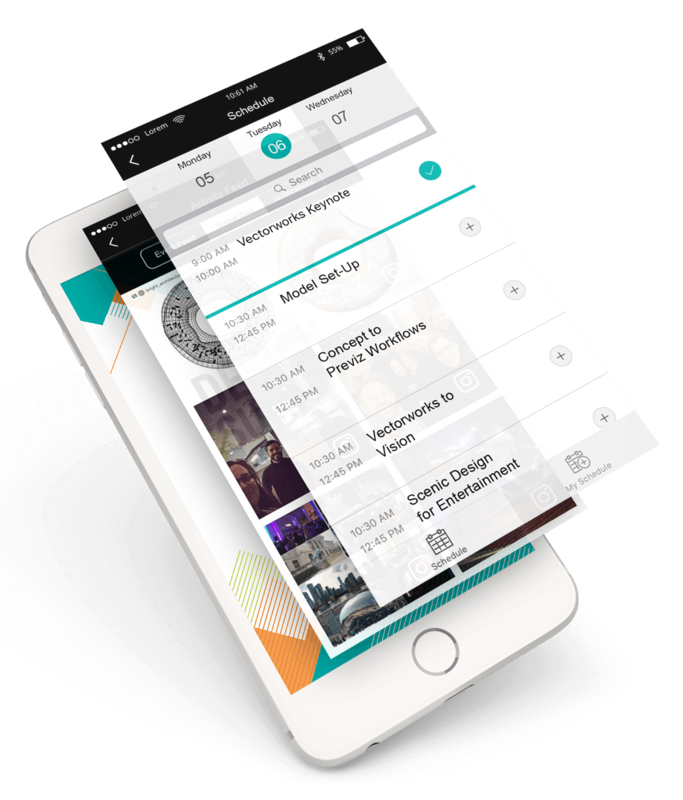 Don’t miss out — join the 2018 Design Summit party by downloading the app today! Be sure to allow notifications on your device to receive important updates while you’re at the Summit. Promote your products and services to hundreds of creative visionaries across the architecture, landscape, and entertainment design industries. There is no fee to participate in our Expo Hall, but space is limited, so exhibitors will be chosen based on application date, relevance to attendees, and any existing partnership with Vectorworks, Inc. Ask us about sponsorship opportunities, too! Sign Up For Updates and Other Announcements! Where is the Vectorworks Design Summit? The Vectorworks Design Summit will take place at Sheraton Grand at Wild Horse Pass. The conference kicks off on Sunday, November 4, 2018 at 4:30 p.m. and concludes on Tuesday, November 6, 2018 at 6:00 pm. While we aren’t accepting speaking proposals any longer, you can check out all the great sessions planned for the Summit, here. Contact designsummit@vectorworks.net with any questions. Are there exhibitor and sponsorship opportunities? Yes. Apply to become a partner HERE. The fee includes all conference materials, training, educational sessions, entertainment, and meals as specified in the agenda, here. Vectorworks, Inc. must receive all event registration cancellations in writing. Email your request to designsummit@vectorworks.net. Full Refund: Cancellations must be received by 11:59 p.m. ET on Friday, September 28, 2018. 50% Return: Cancellations must be received between 12:00 a.m. ET on Saturday, September 29, 2018 and 11:59 p.m. ET on Sunday, October 21, 2018. No refunds will be given after 12:00 a.m. ET on Monday, October 22, 2018. Can I substitute my registration if I am unable to attend? If you are unable to attend the 2018 Vectorworks Design Summit, you may transfer your registration to another person by sending an email with the new attendee’s name and contact information to designsummit@vectorworks.net. Substitution requests made after Friday, September 28, 2018 may be subject to a $100 transaction fee. Guest tickets for the nighttime events can be purchased for $75 per guest. Will I be able to register and pay for the conference on site? No. 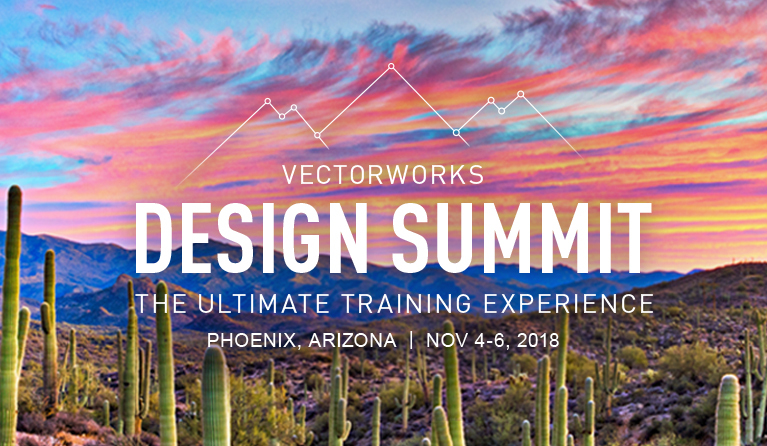 Registration for the Vectorworks Design Summit will close on Friday, November 2, 2018 at 11:59 p.m. ET. Yes. You can take advantage of the special conference hotel rate at Sheraton Grand at Wild Horse Pass of $199/night. Reserve a room at the discounted rate, here. How do I book a hotel for the Vectorworks Design Summit? Visit the online reservation site to book your stay. Cancellations made less than 72 hours prior to day of arrival will forfeit one nights’ room and tax. Is the hotel stay included in the conference fee? No. Conference fees do not include hotel accommodations. Where can I find information about Arizona? Go to Visit Arizona to learn more about the host location. The temperature in Phoenix during early-November averages a high of 80 degrees and a low of 50 degrees Fahrenheit. Phoenix Sky Harbor International Airport is located 12 miles from the hotel. Getting to the Sheraton Grand at Wild Horse Pass is very easy. (See above Transportation section). Is airfare included in my conference registration? No. The conference fees do not include airfare or transportation costs. Where is the agenda, and what types of sessions can I expect? The agenda is now available for you to view online, and all sessions are open for registration. You can check out what’s available and build a tentative schedule before you even set foot in Phoenix. Please send any dietary needs or additional concerns to designsummit@vectorworks.net. We suggest that attendees dress business casual for both the educational and nighttime events. Is this event open to members of the press? Yes. Qualified journalists wishing to cover the 2018 Vectorworks Design Summit must apply for media credentials. 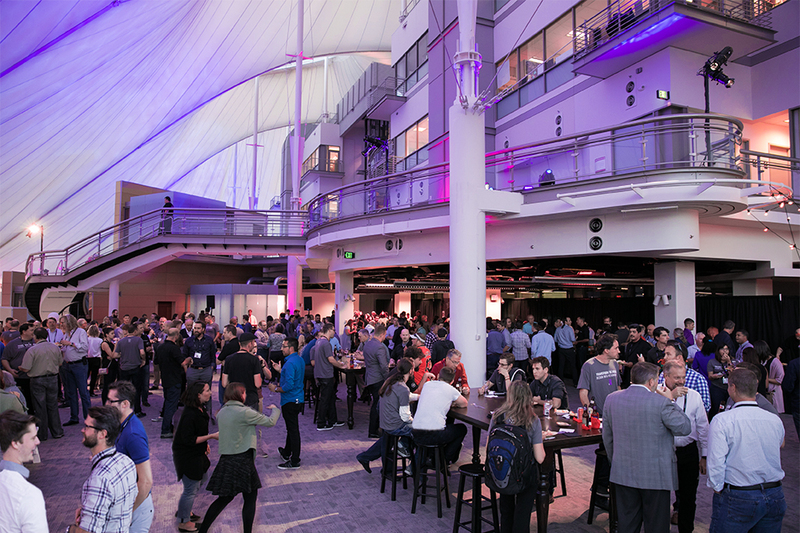 Please email Communications Manager Lauren Meyer at lmeyer@vectorworks.net to confirm your credentials, receive a complimentary ticket, and inquire about scheduling interviews with Vectorworks executives and product developers while at the Design Summit. I'm not a Vectorworks user. Can I still attend? Of course! In addition to in-depth training, the Design Summit will also host industry thought leaders speaking on the future of design. Attendees will also have the opportunity to network with design professionals from around the world, making this event one you can’t afford to miss.